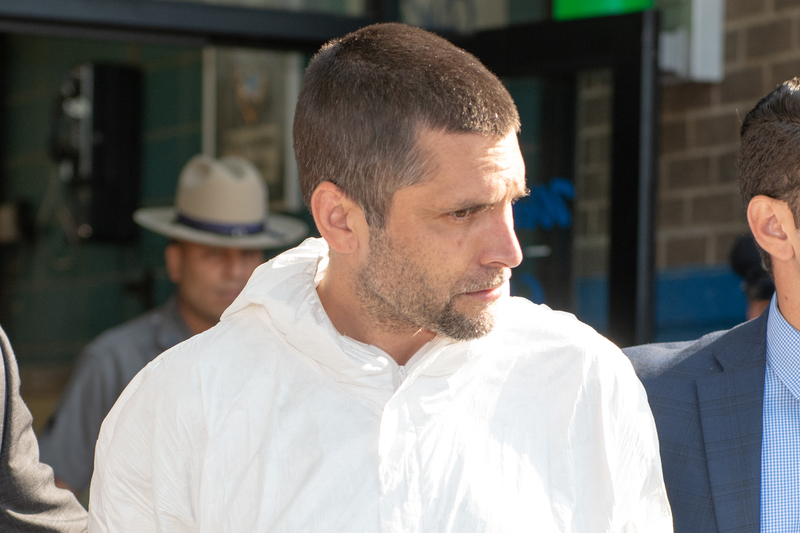 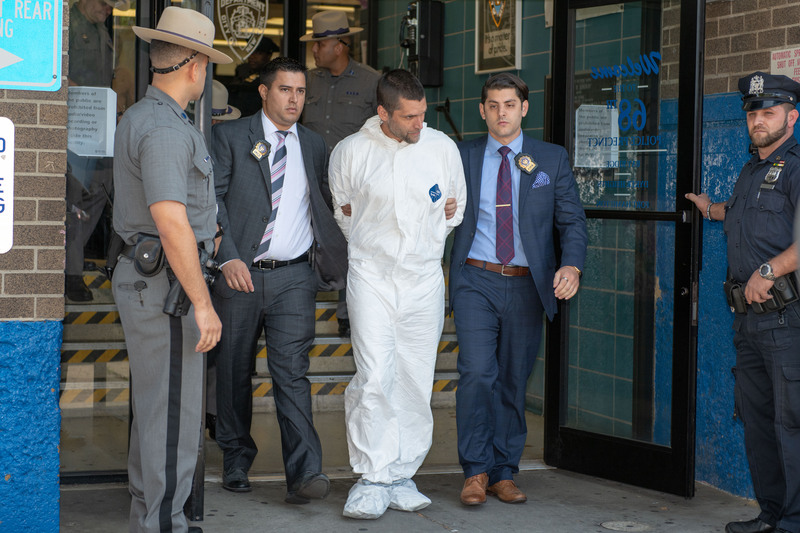 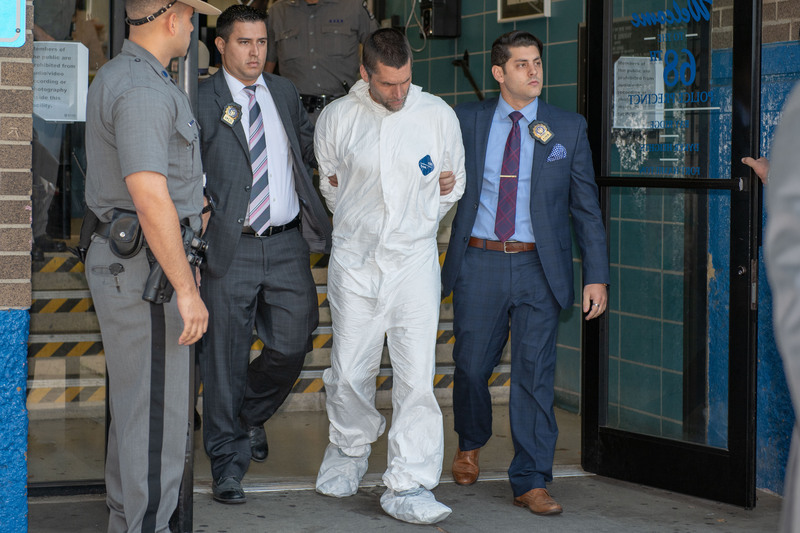 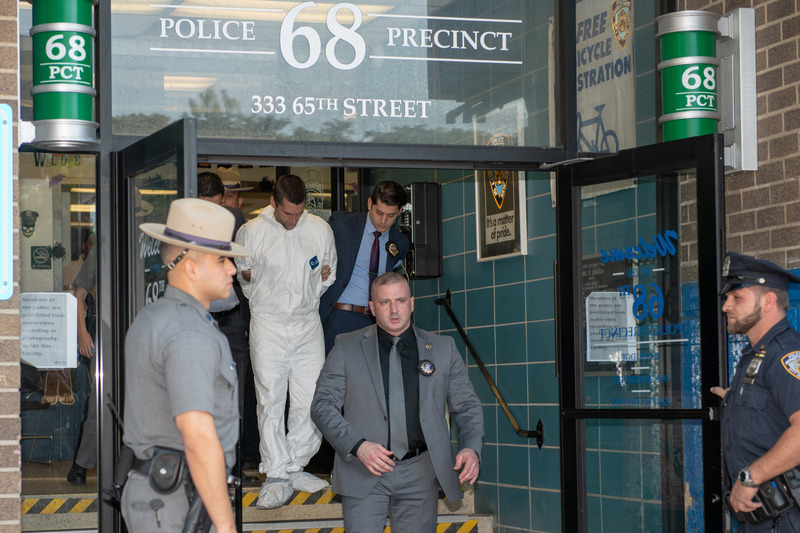 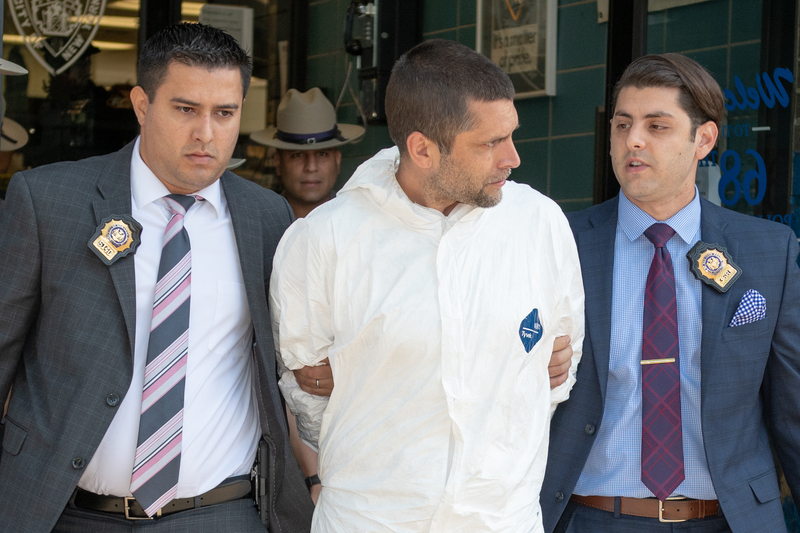 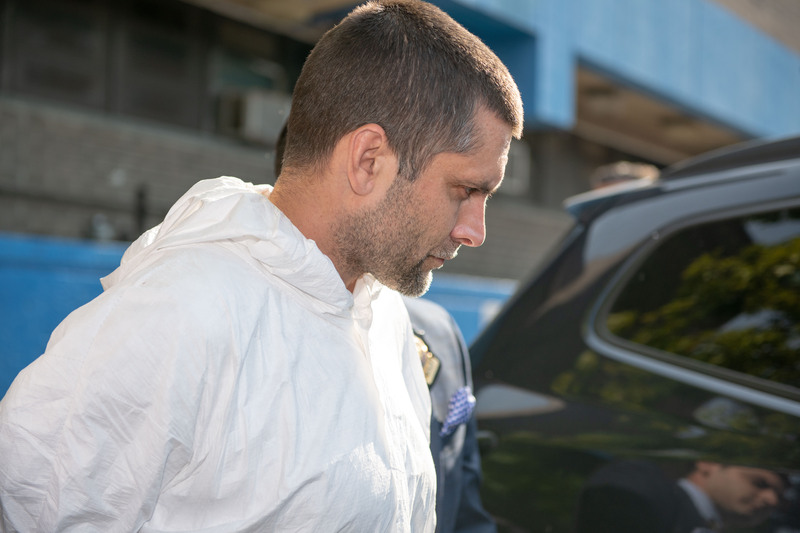 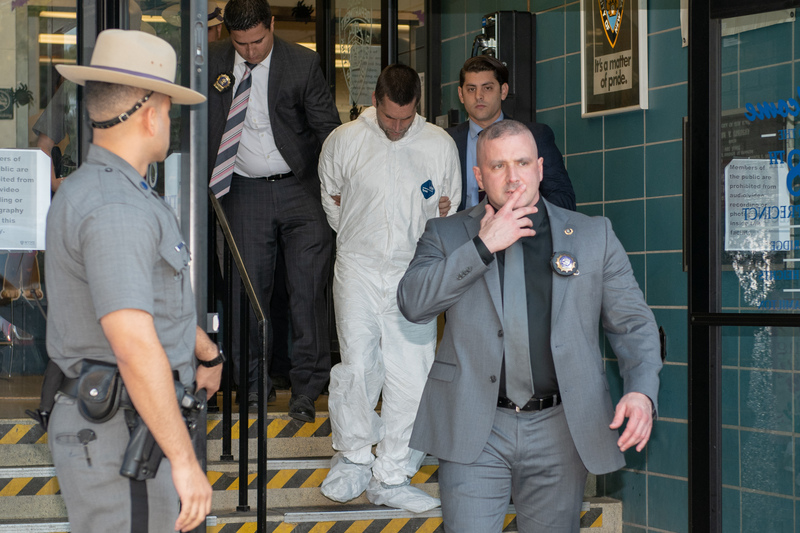 42yr old fugitive Joshua Stuart, who lives in Kerhonkson, NY, is seen here sporting a white Tyvek suit as he is lead out of the 68th Precinct in Brooklyn on Tuesday. 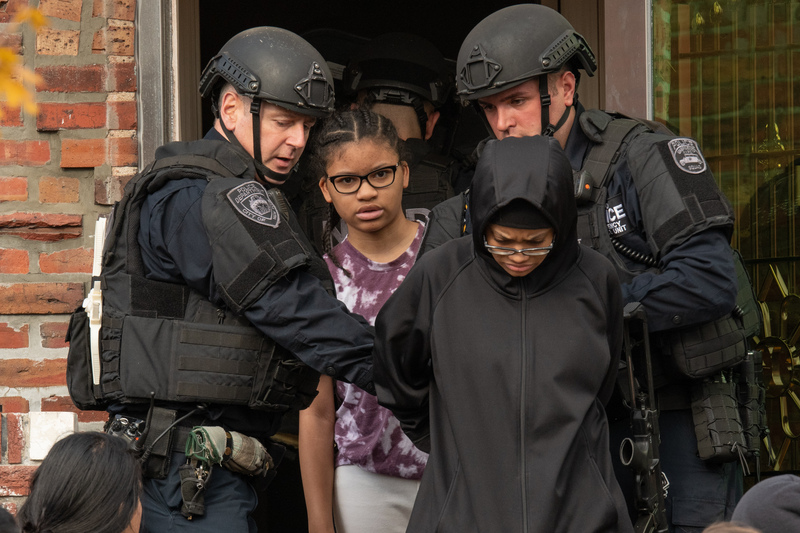 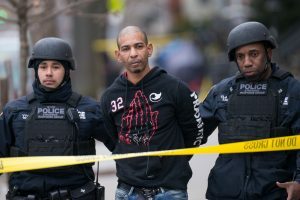 Stuart began his run from the law after he fired shots at Police Officers last Friday in upstate Ellenville, New York. 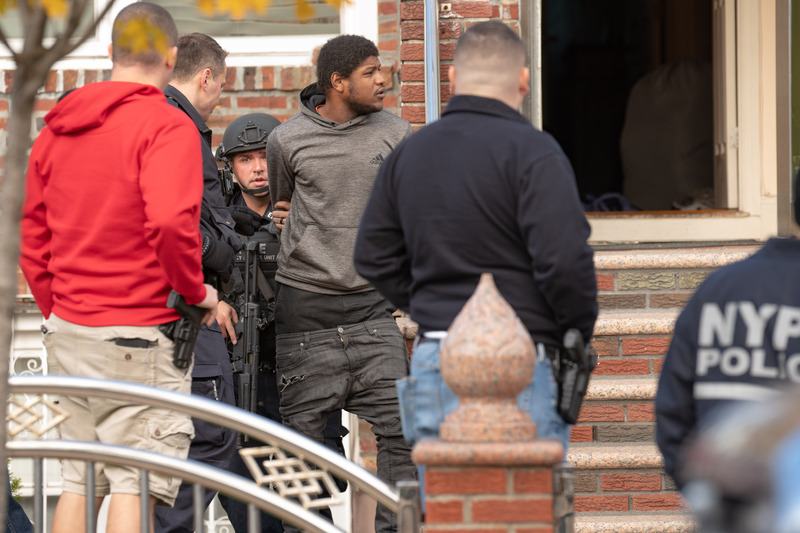 Reports indicate that he fled Ellenville using a stolen vehicle and headed straight to the Borough of Brooklyn. 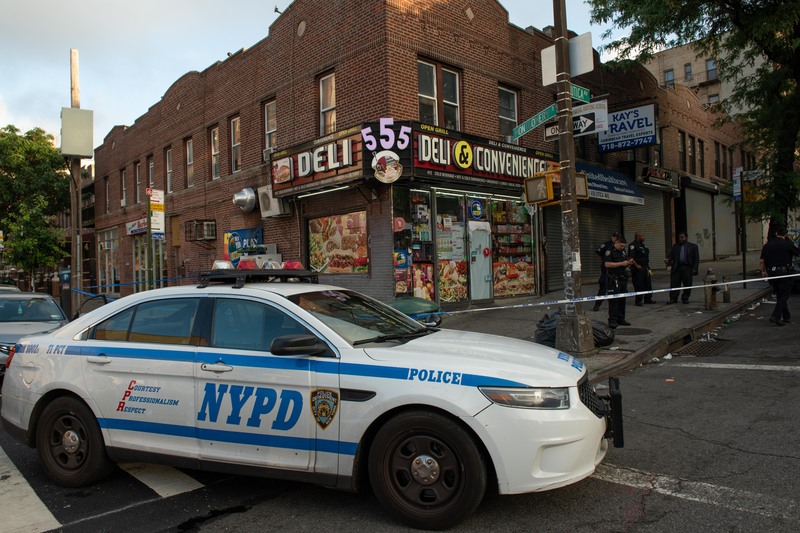 On the morning of Monday October 1, he allegedly robbed a bodega at gun point on 3rd Avenue near 83rd Street in Brooklyn. 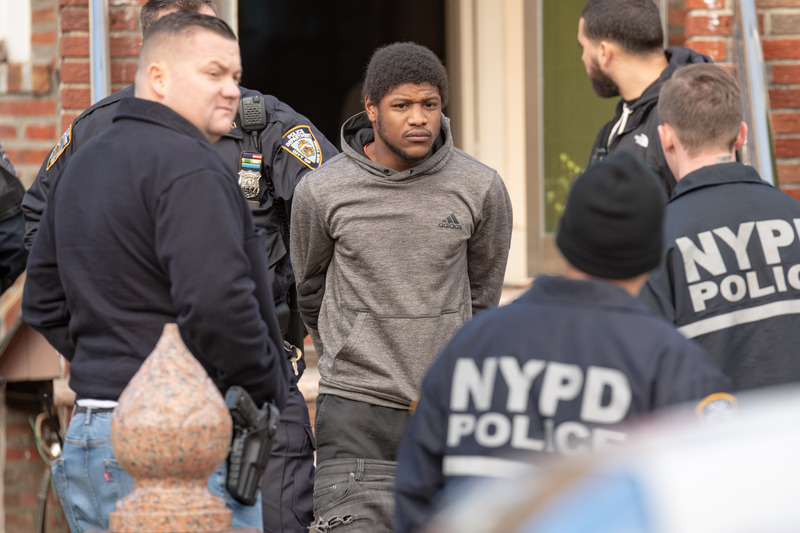 He was spotted and nabbed by Officers later Monday evening. 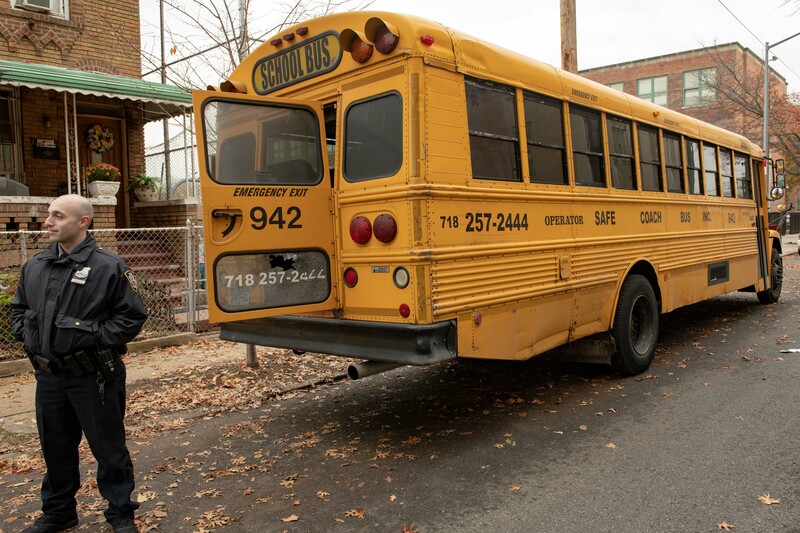 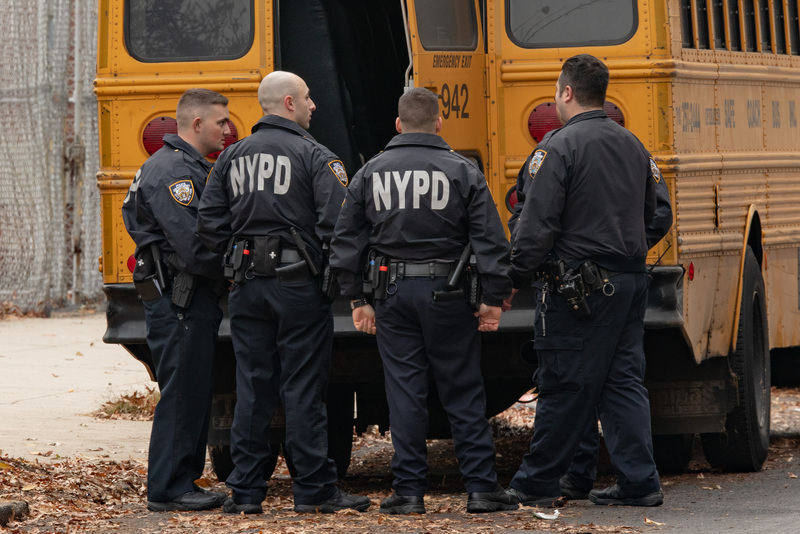 Two New York State Troopers were on hand for the walkout and accompanied the transport. 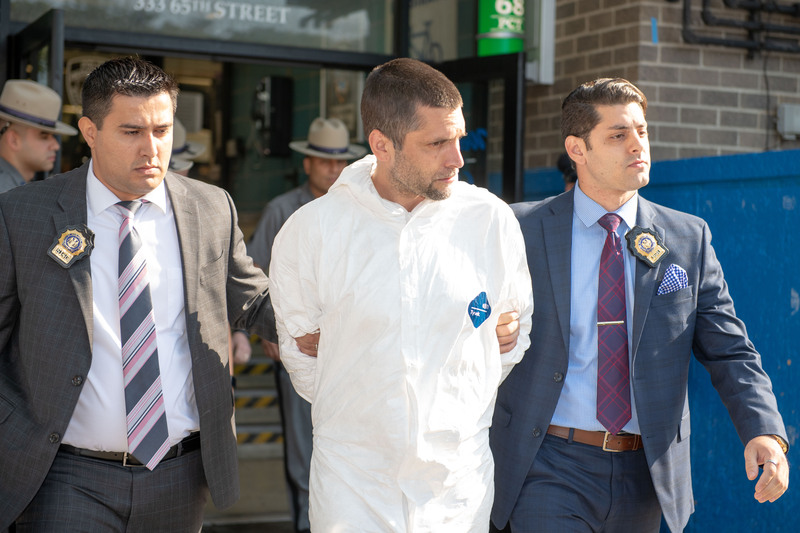 Stuart will face Federal charges as follows: Robbery, Criminal Possession of a Weapon, Criminal Possession of Stolen Property, and Criminal Possession of a Controlled Substance. 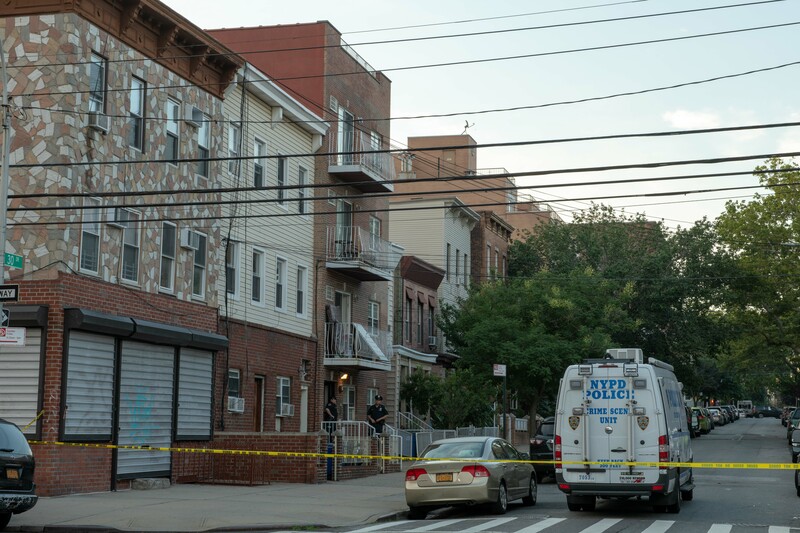 Cops responding to a report of a ‘heavy bleeder’ at 23-07 30th Drive in Queens at around 9:00PM Monday night found four people, including a boy said to be about five years old, shot to death in what authorities believe might be a triple murder suicide scenario. 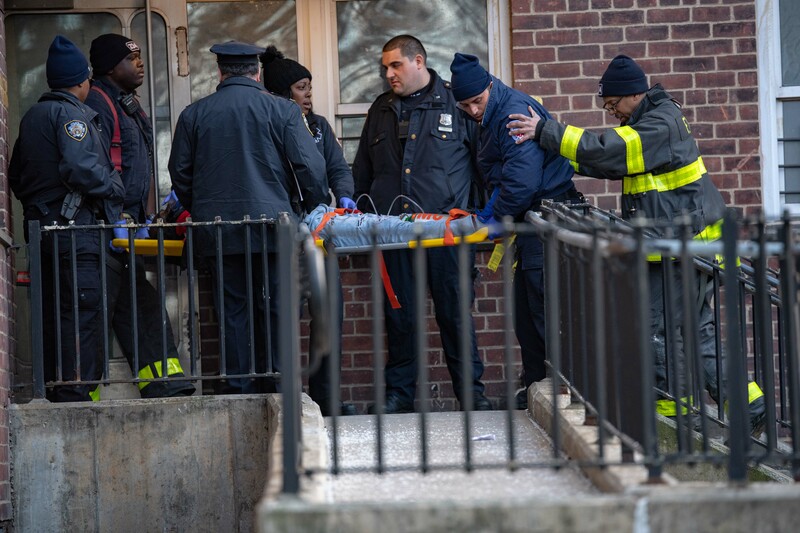 Found dead along with the young boy inside an apartment on the first floor were two adult women and one adult male. 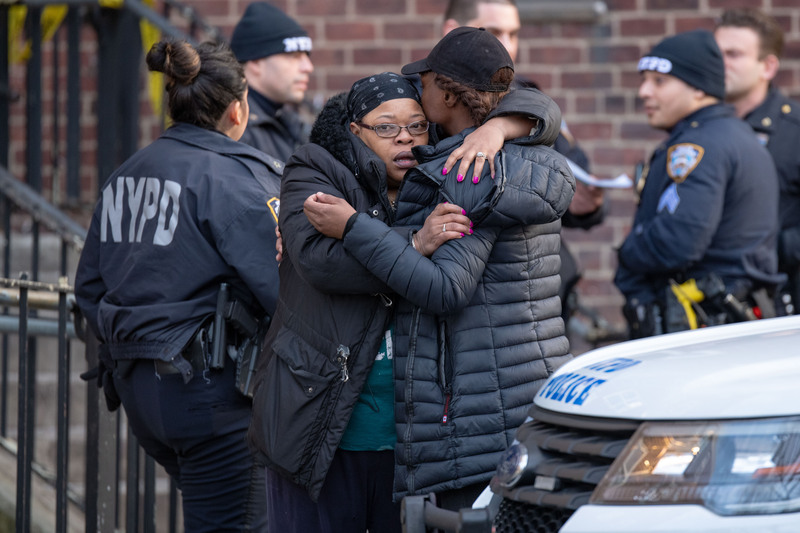 Crime Scene Investigators were still processing the scene on Tuesday morning as uniformed Officers stood guard at the front of the building. 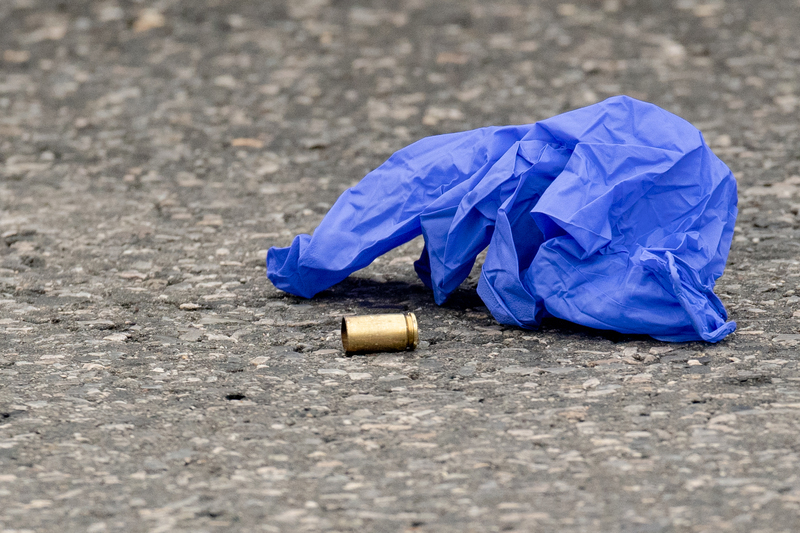 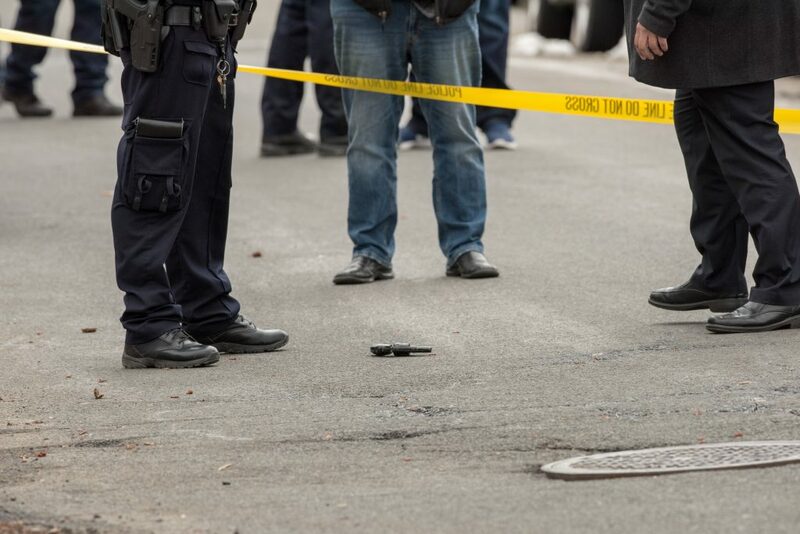 According to the NYPD, a gun was recovered at the scene. 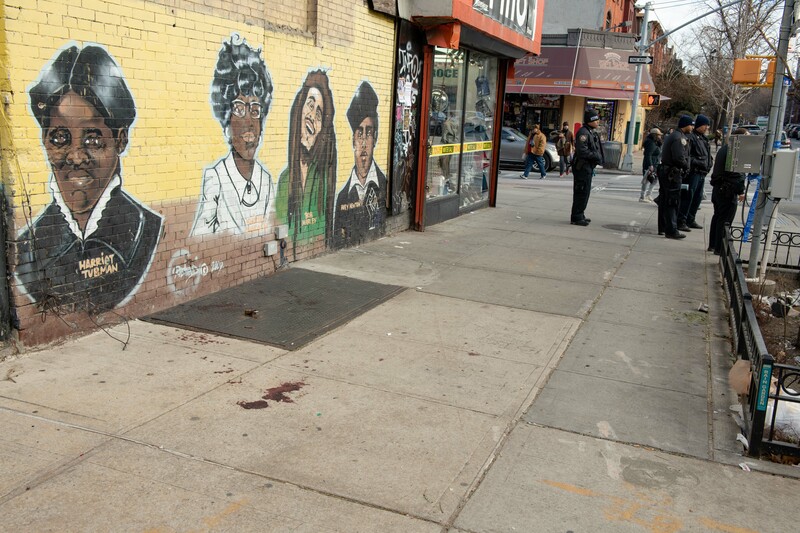 The exact circumstances that lead to this horrific act are not known at this time. 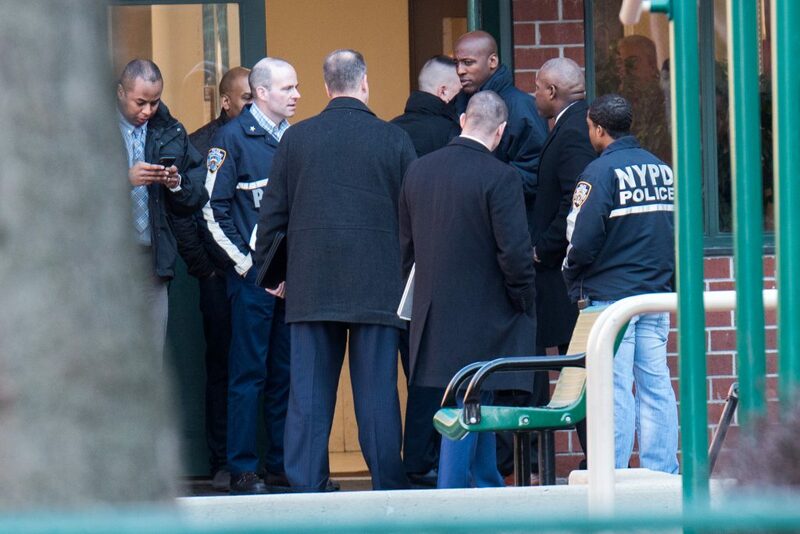 The NYPD has declined to release the names of the deceased at this time. 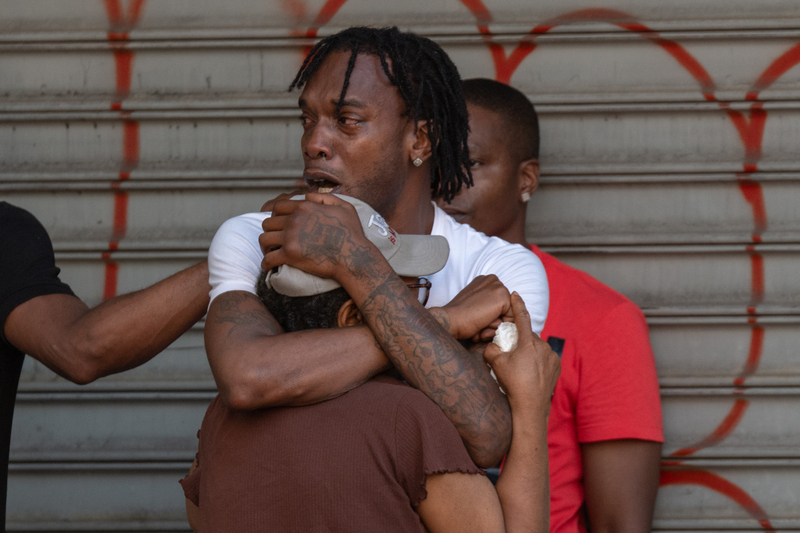 28yr old Khadeem Anderson was shot in the head and killed inside a Deli located at 412 Utica Avenue at the corner of Montgomery Street in the Crown Heights section of Brooklyn just after 5AM on Thursday. 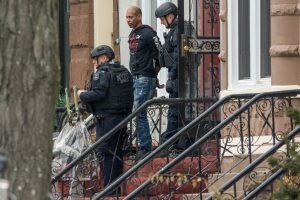 The suspect was able to escape and is now being sought by Cops. 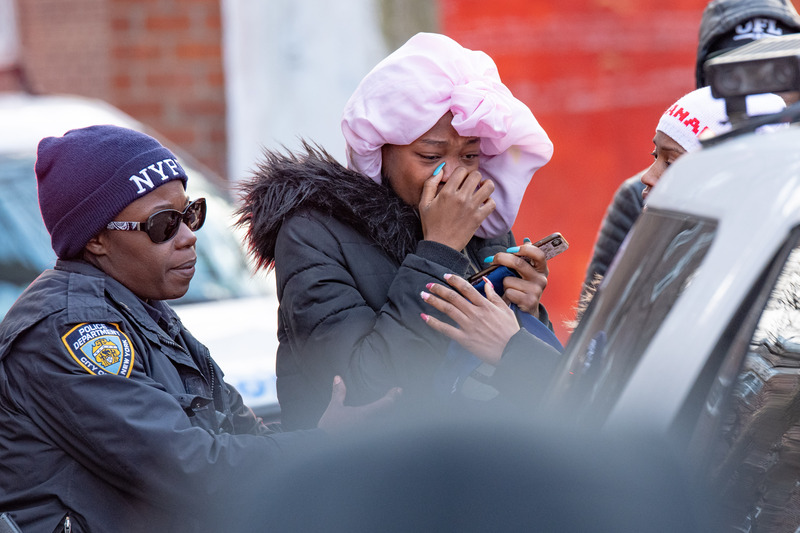 Khadeem leaves behind a two year old child. 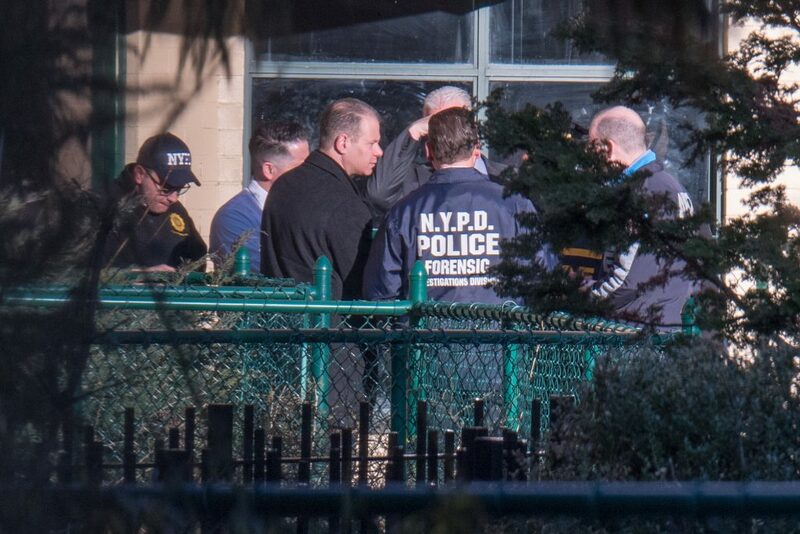 The Investigation continues. 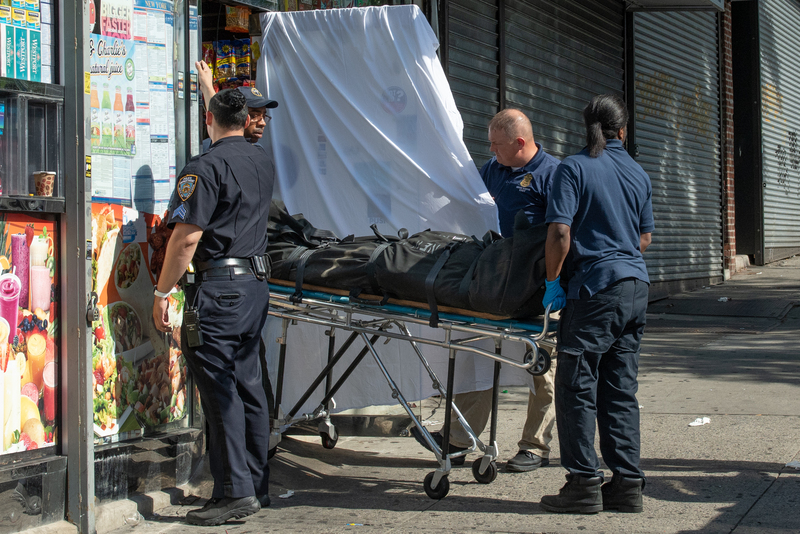 33yr old Argenis Cabrera was pronounced dead at Kings County Hospital after he was shot outside of 1655 Union Street in Brooklyn, just a few doors down from his residence, early on Tuesday morning. 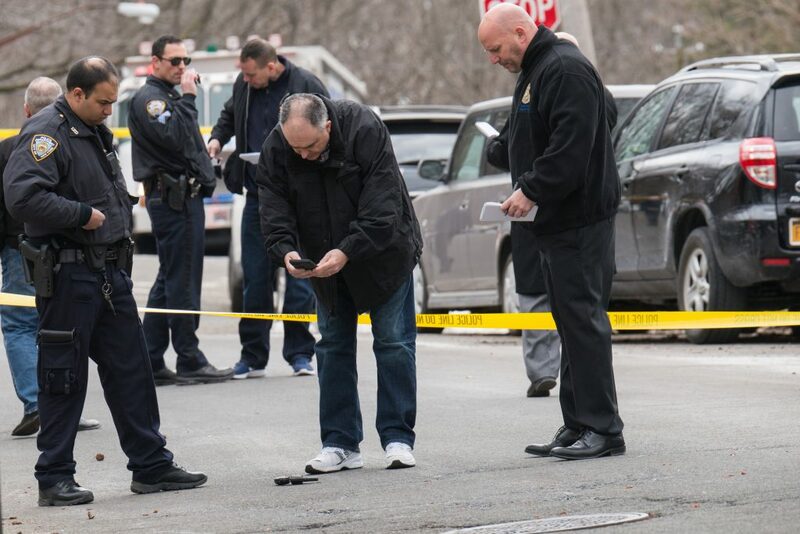 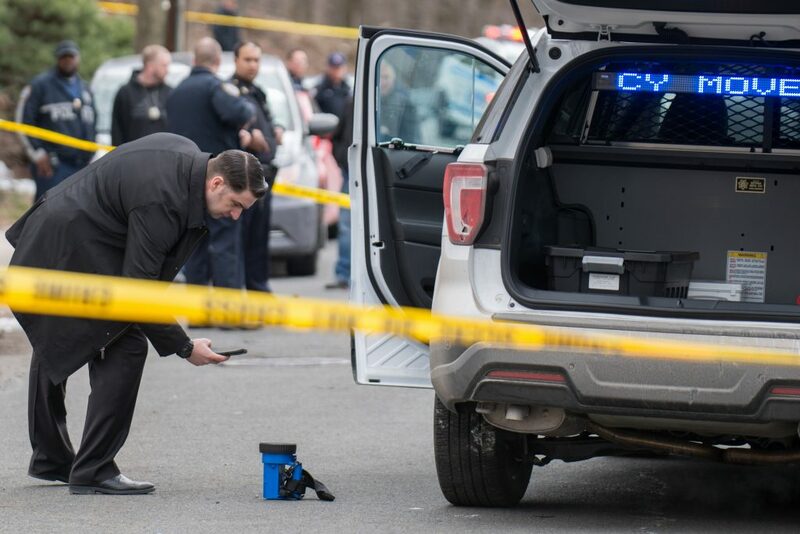 The shooters fled in a white Honda minivan but crashed into a parked Nissan sedan and a white Kia sedan at the end of the block on Union Street at Schenectady Avenue. 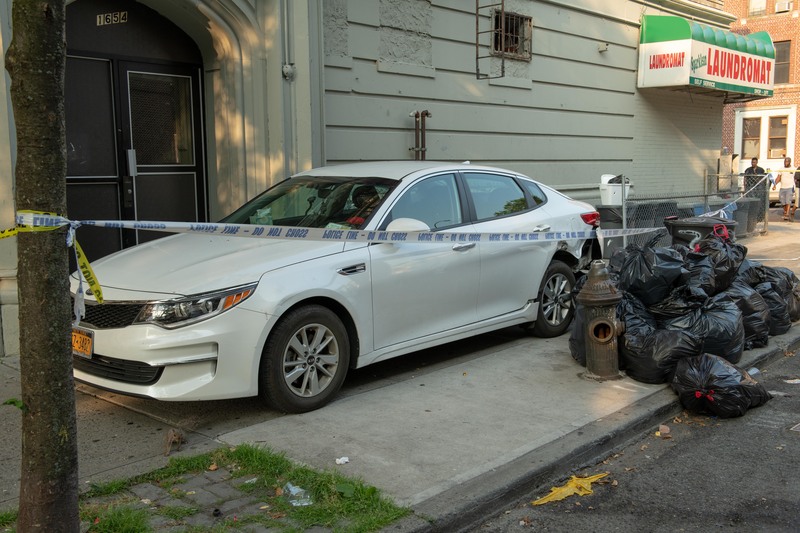 The Kia sedan ended up on the sidewalk. 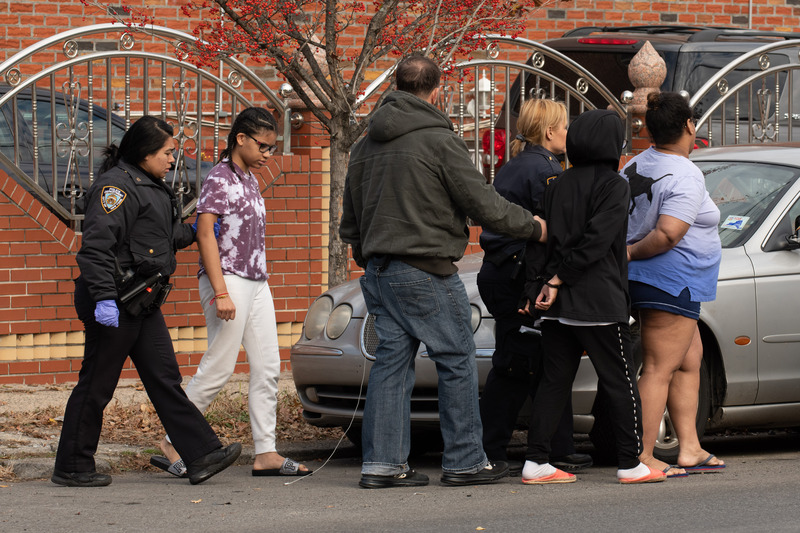 They then escaped on foot. 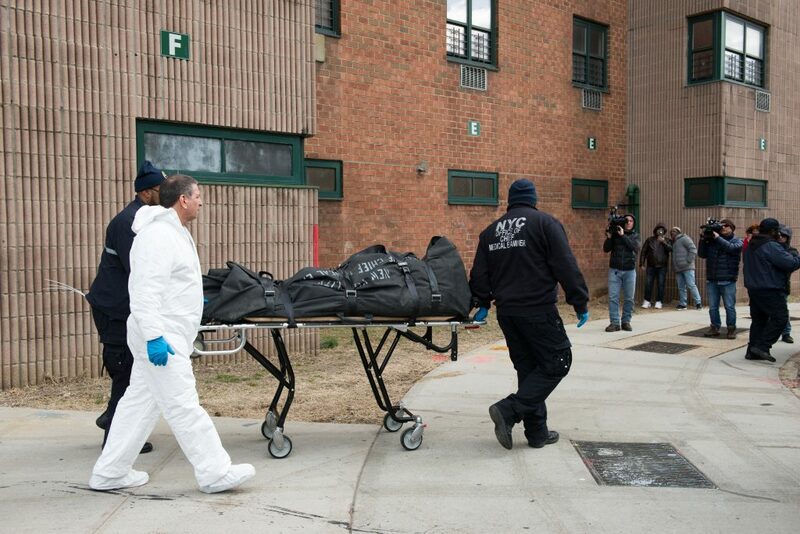 Police are searching for the killers as their Investigation continues. 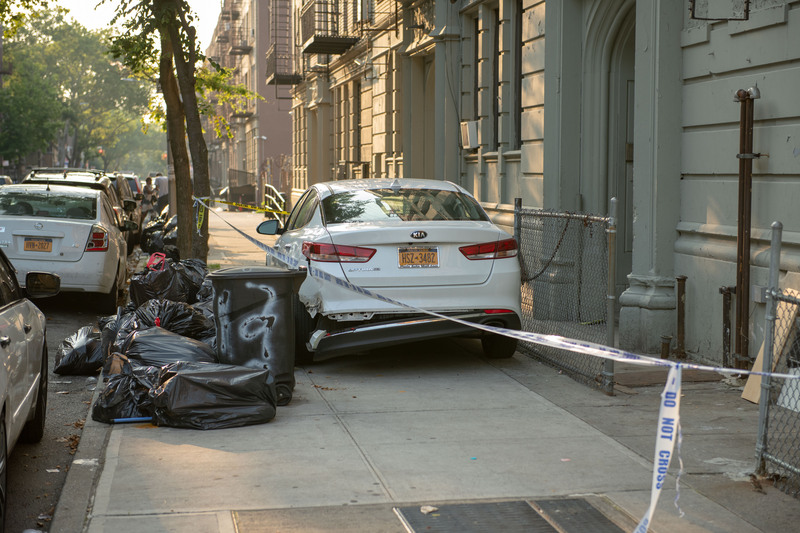 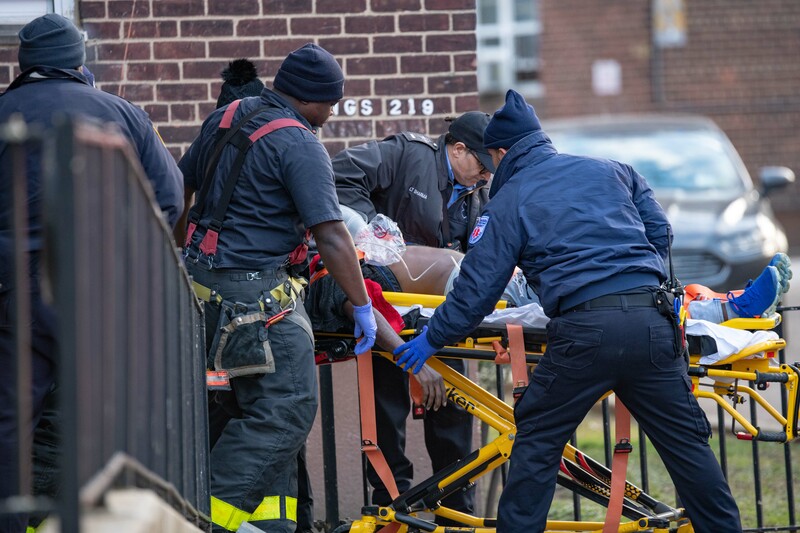 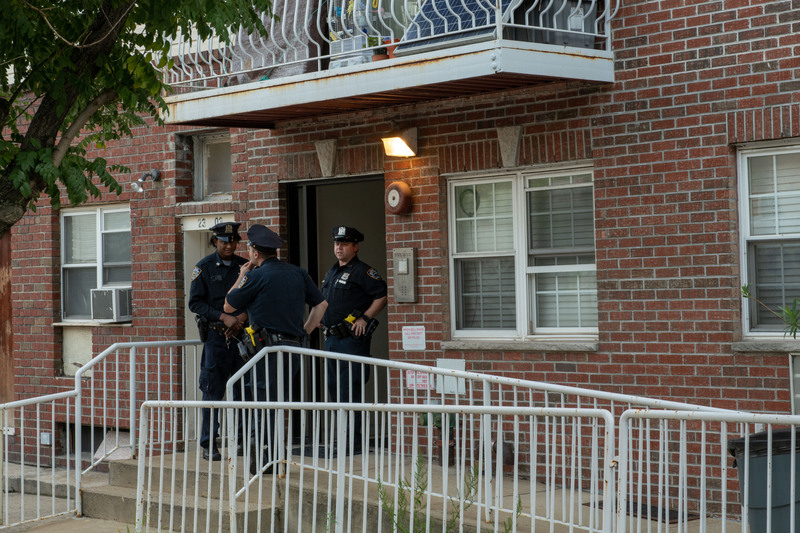 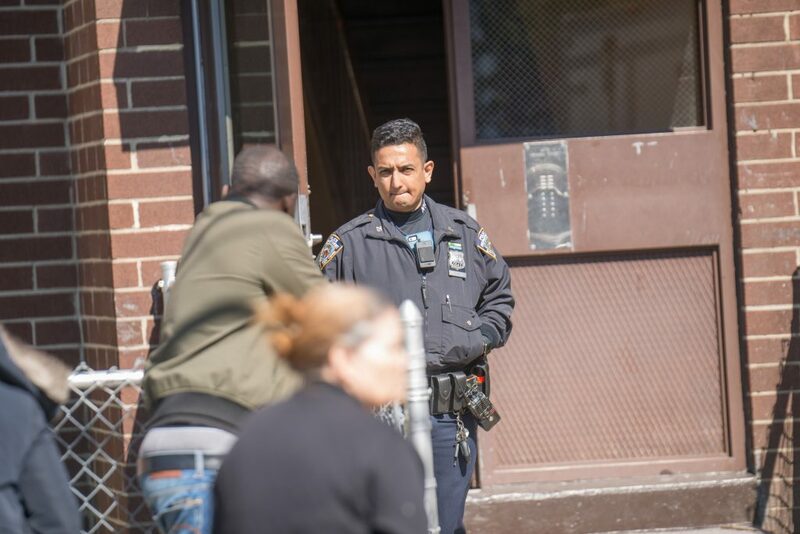 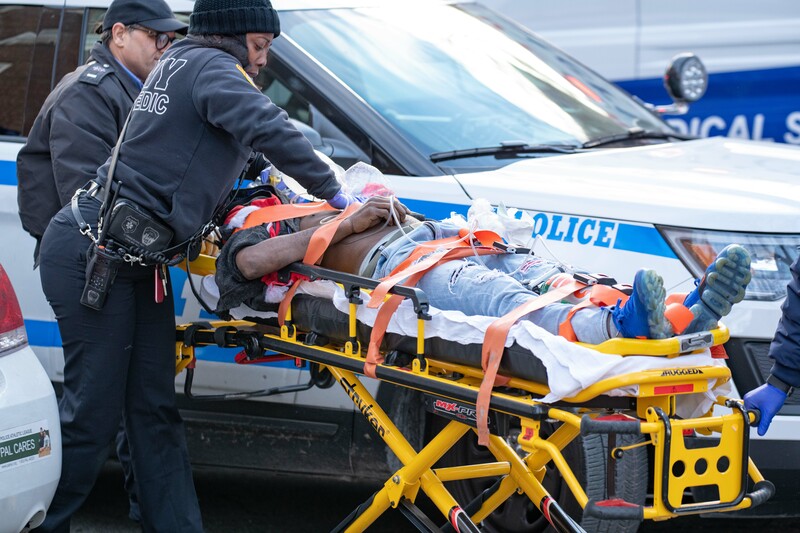 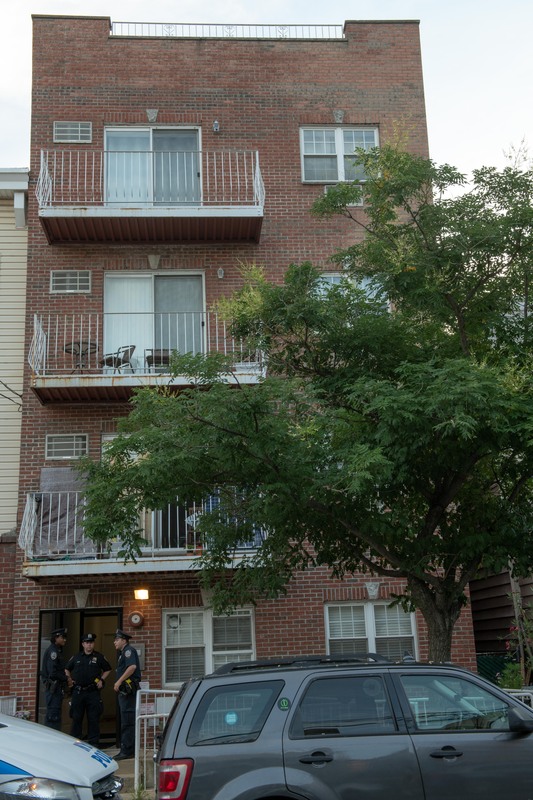 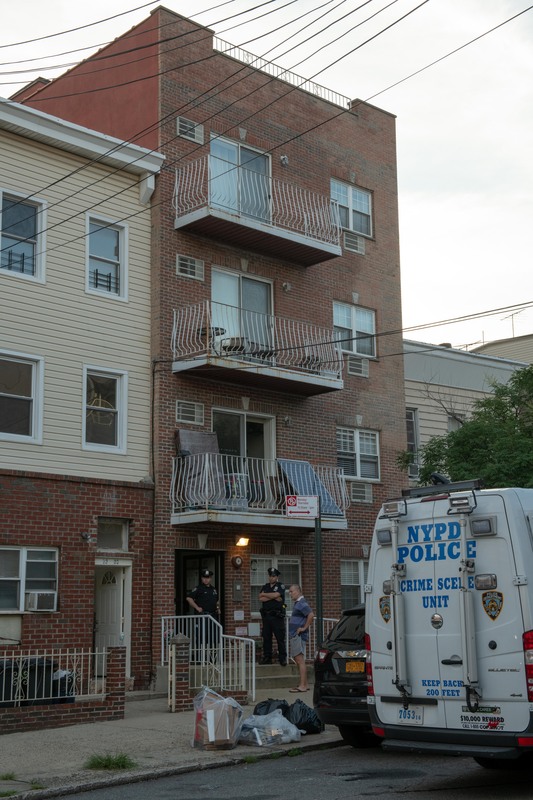 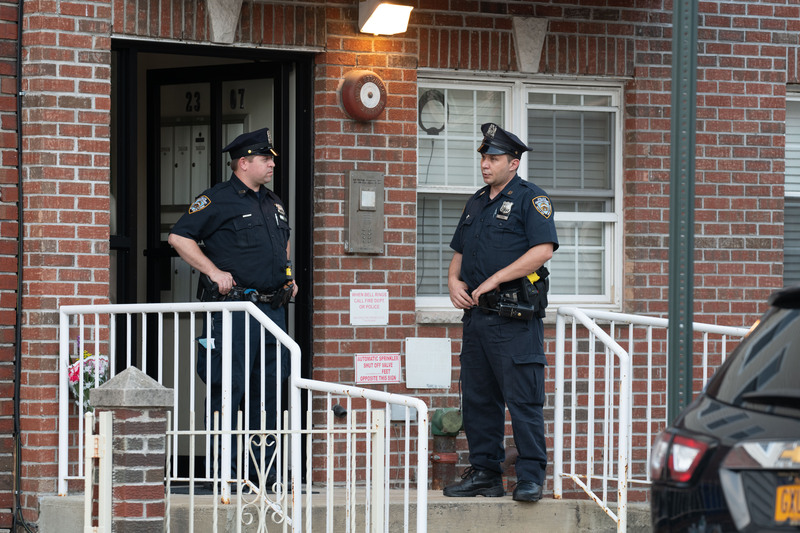 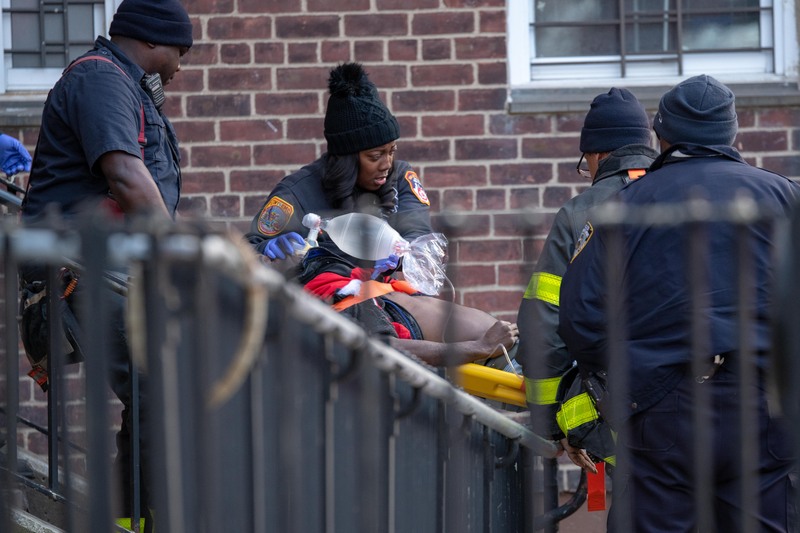 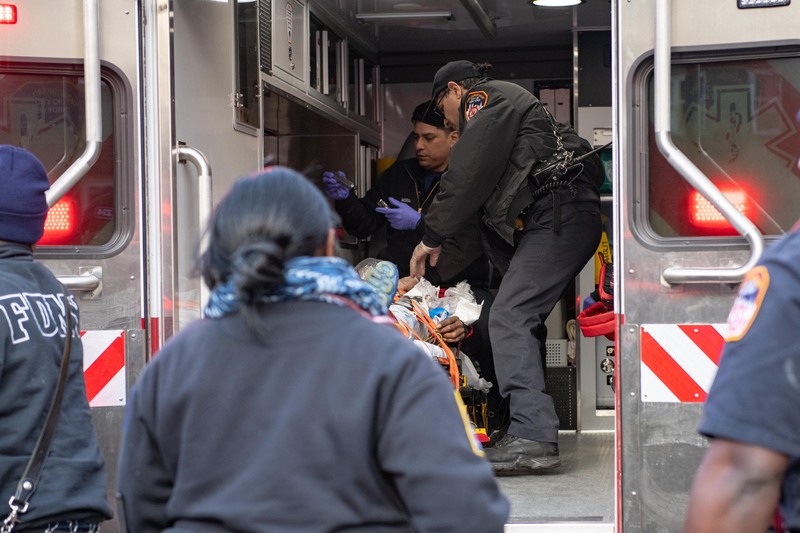 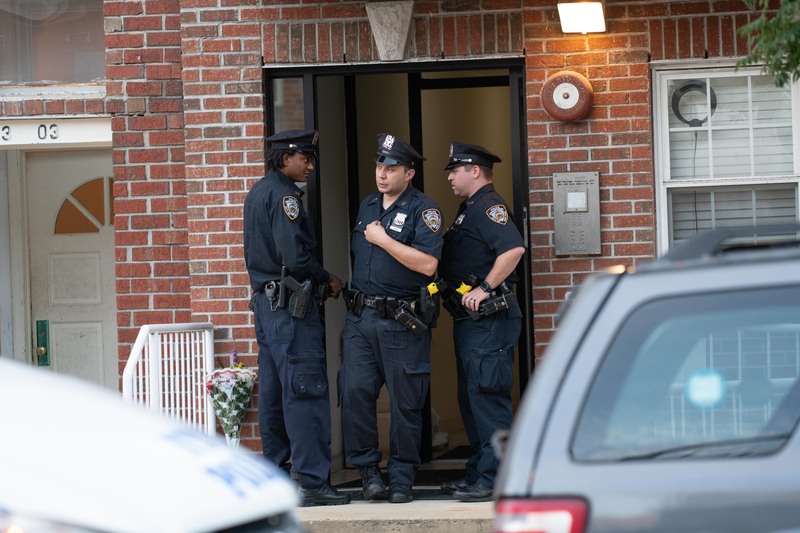 Police responding to a call of a person shot at 475 Hendrix Street in Brooklyn found a man unconscious and unresponsive with a gunshot wound to the shoulder inside apartment 1B on Sunday. 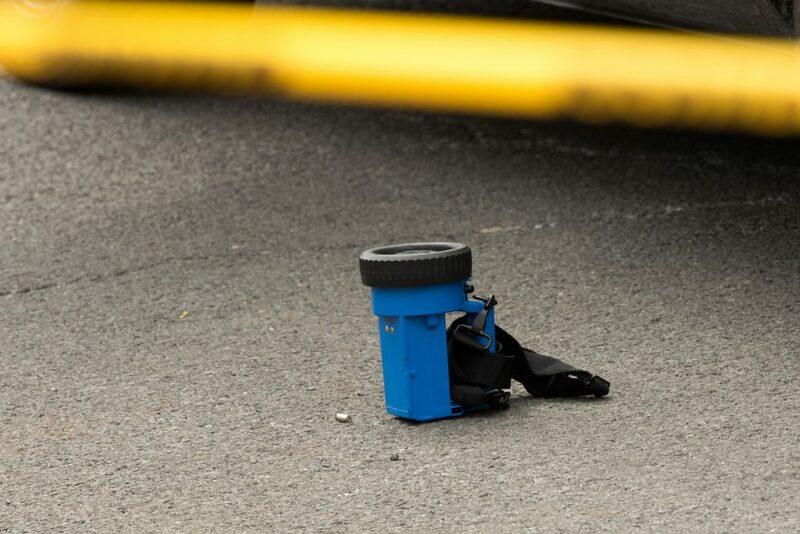 Emergency Medical Personnel pronounced the man dead on the scene. 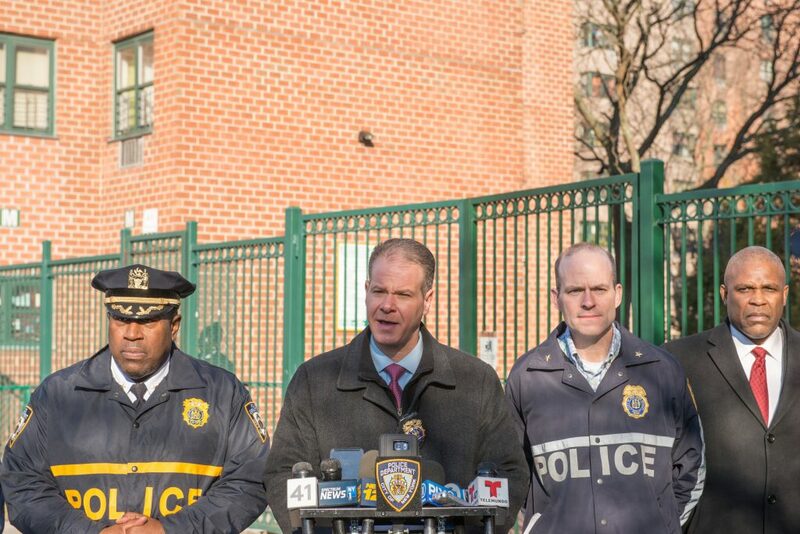 Cops recovered a gun at the scene and arrested a 32yr old man, who knows the deceased, inside the same apartment. 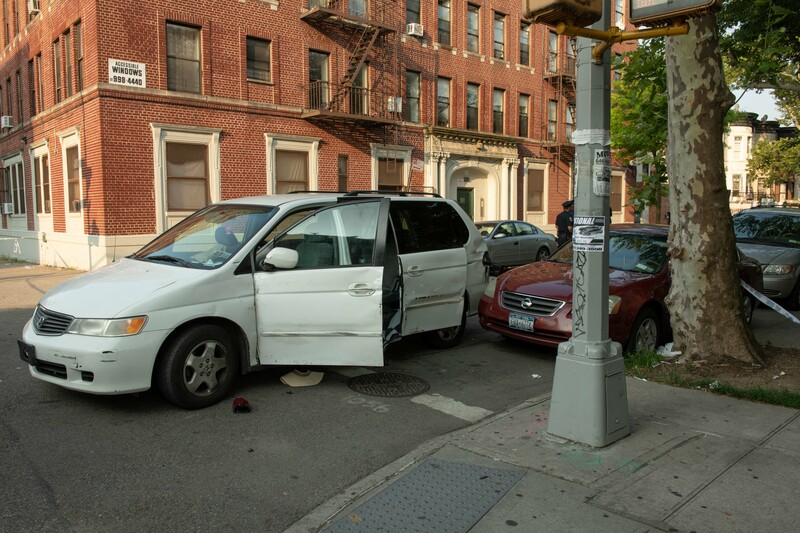 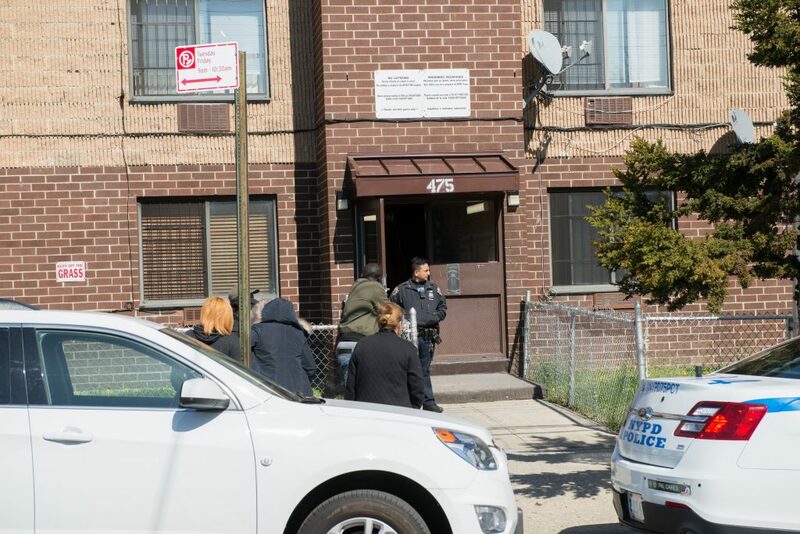 He was taken to the 75th Precinct in East New York where Charges are pending. 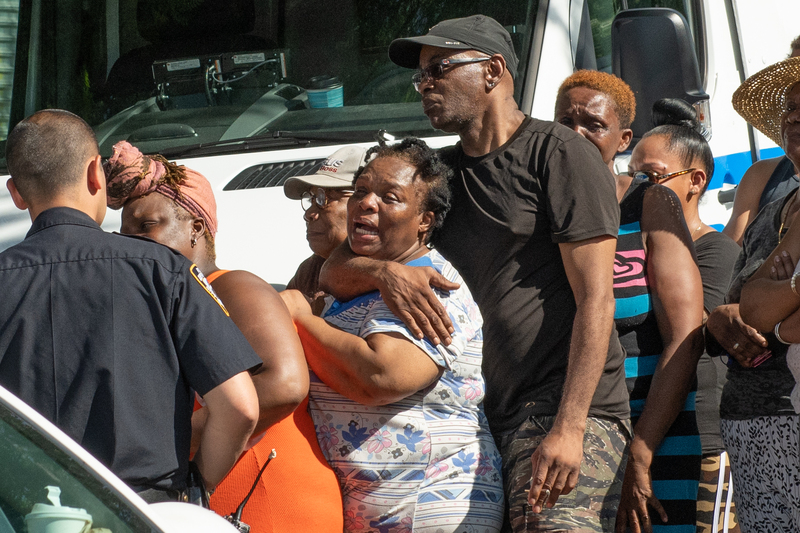 Police did not immediately identify the victim, pending proper family notification. 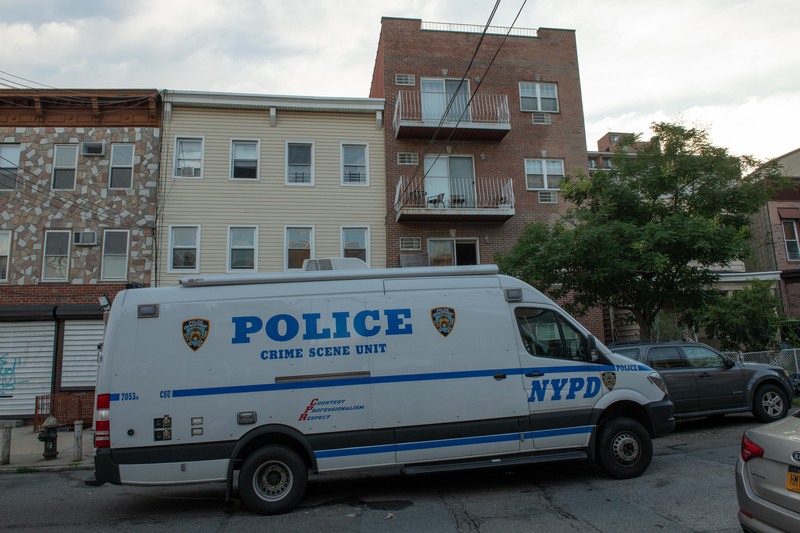 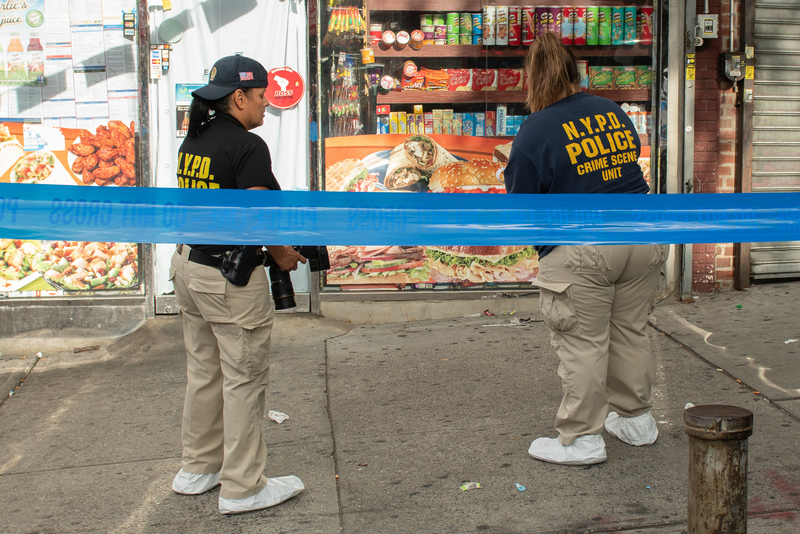 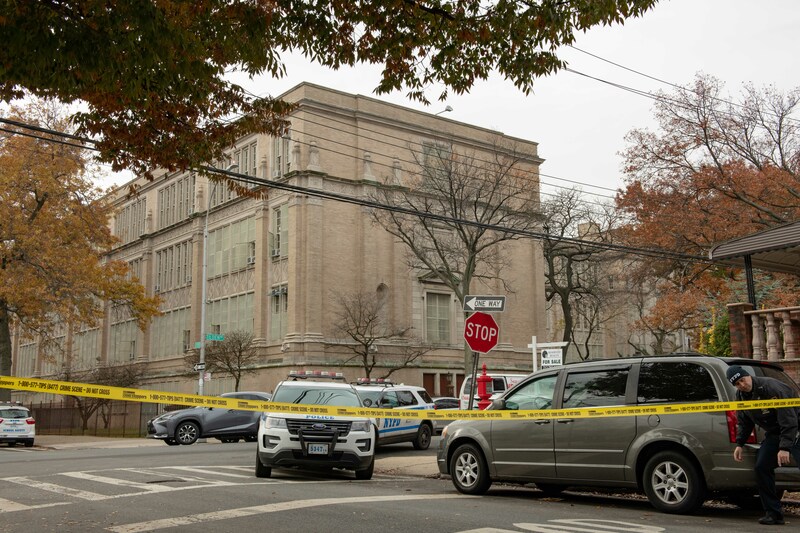 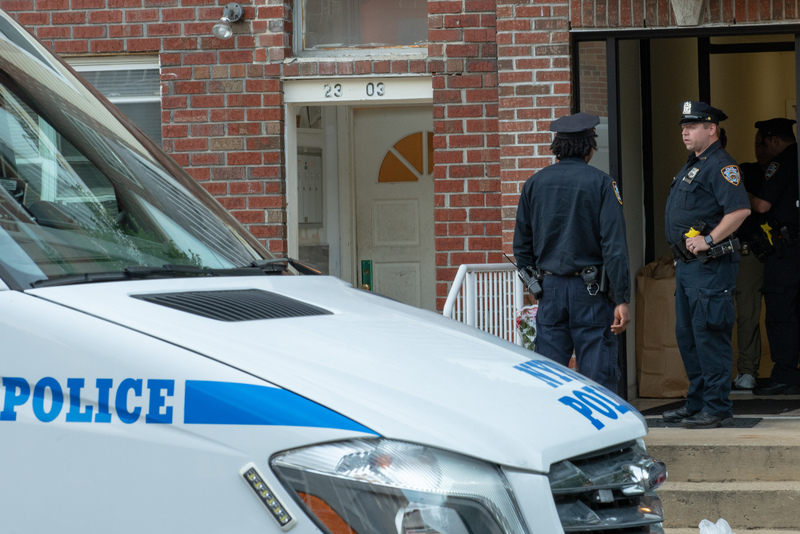 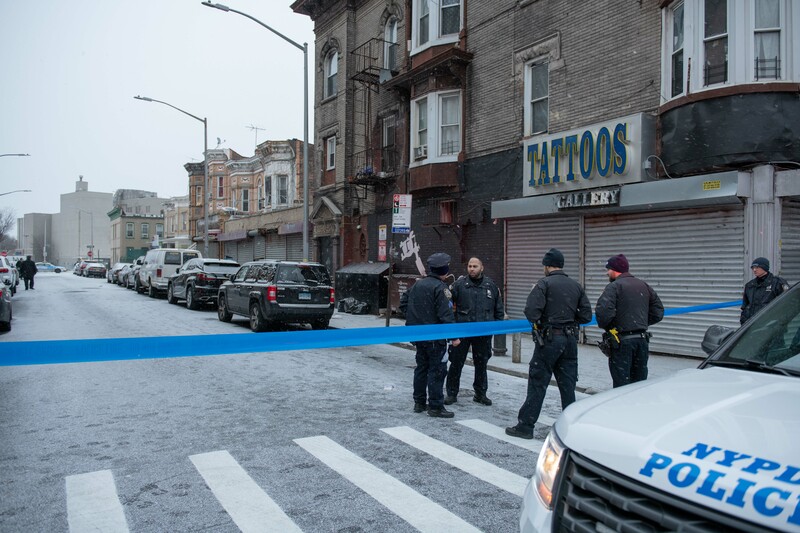 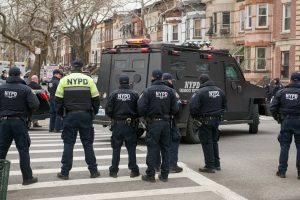 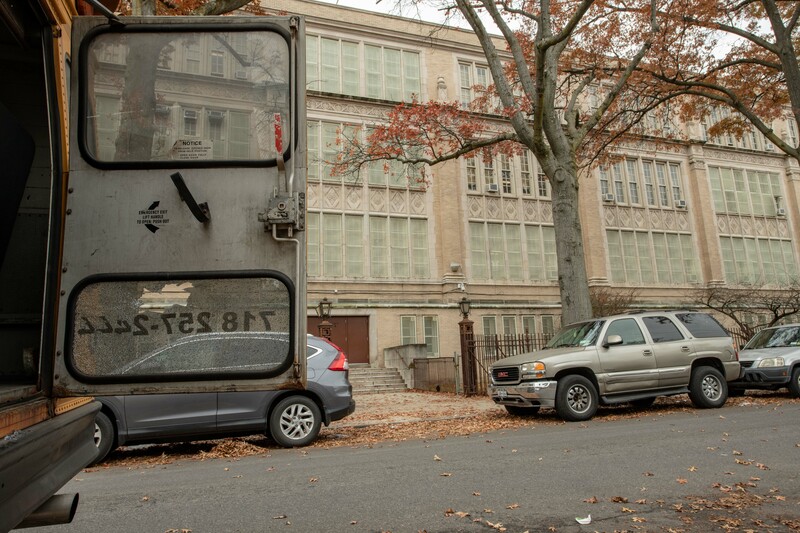 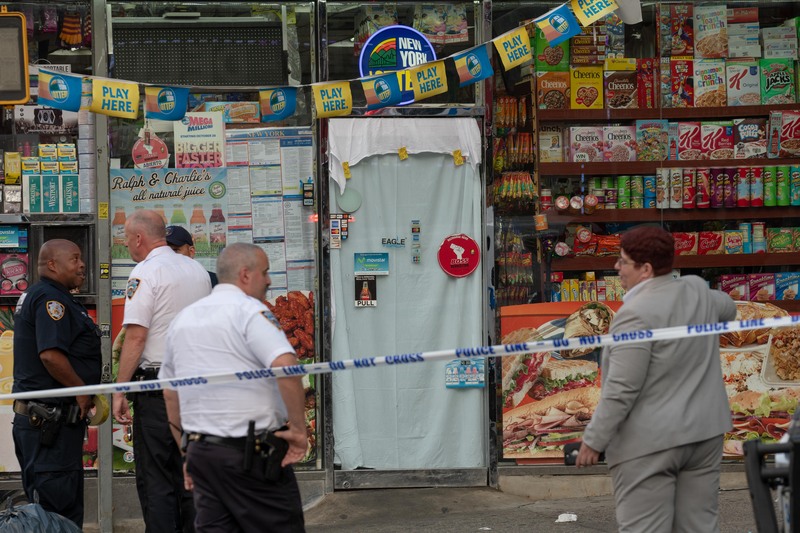 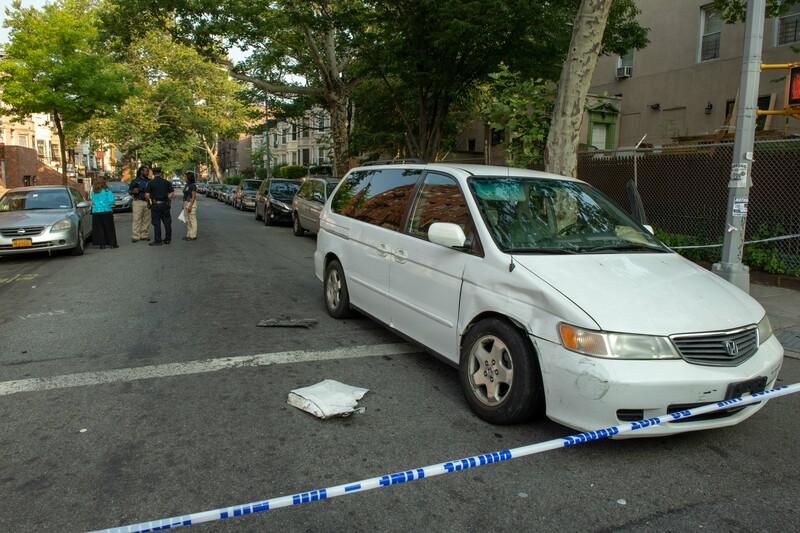 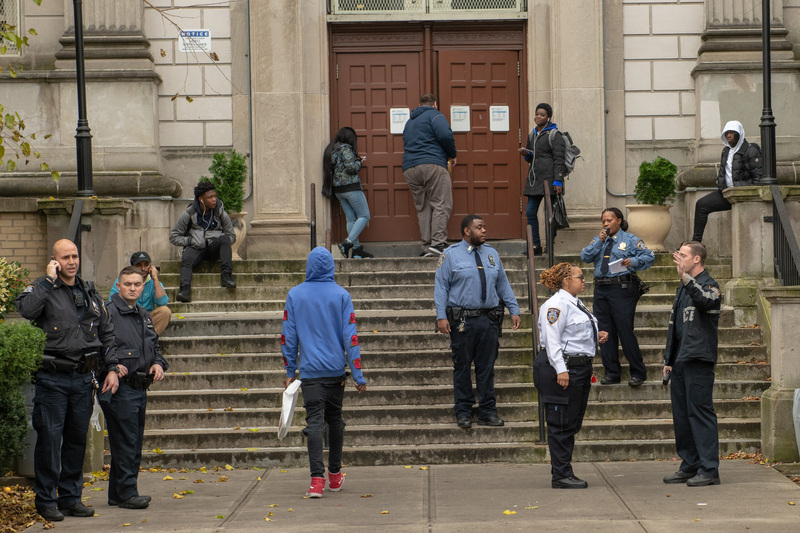 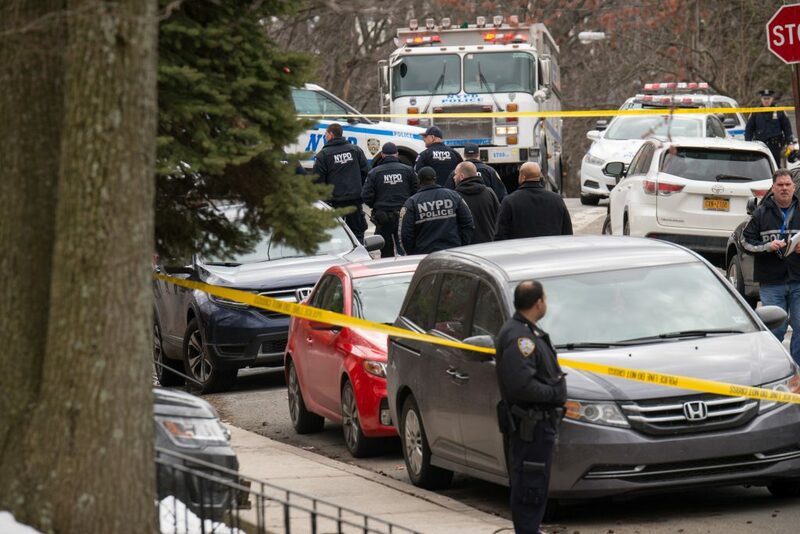 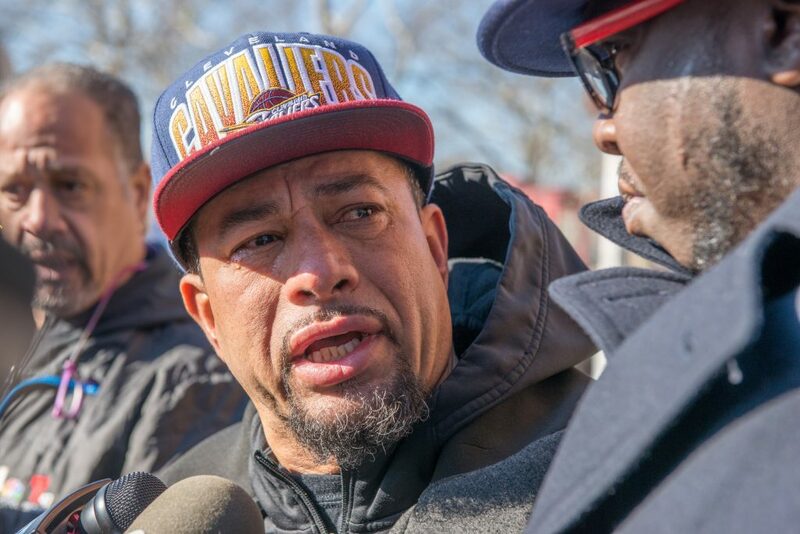 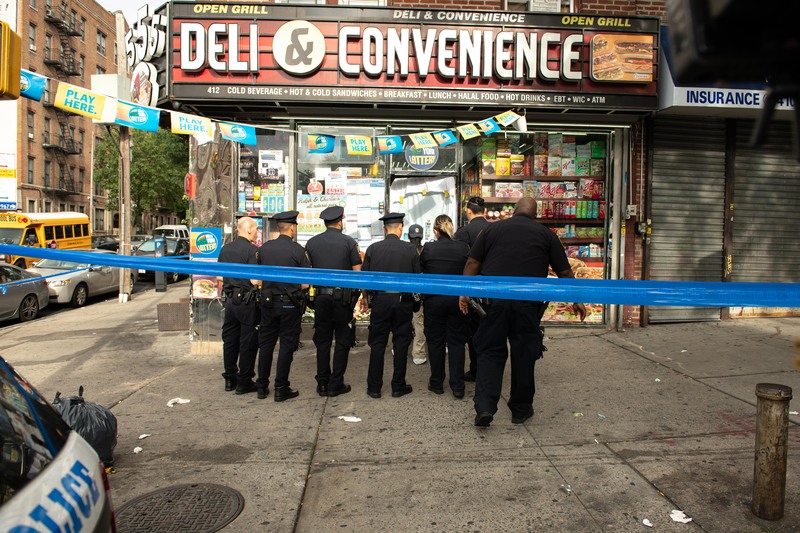 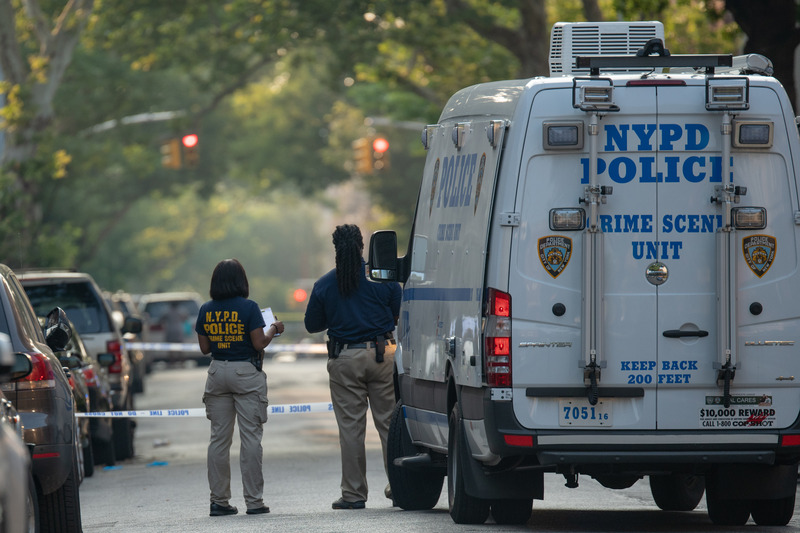 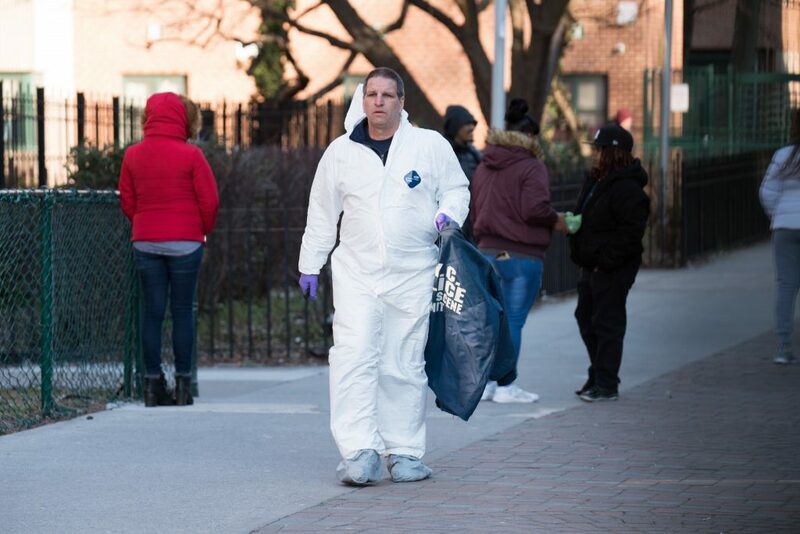 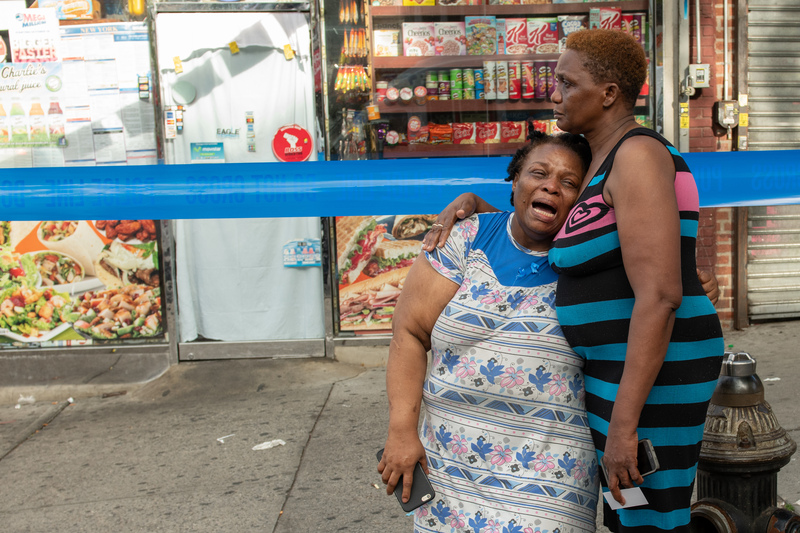 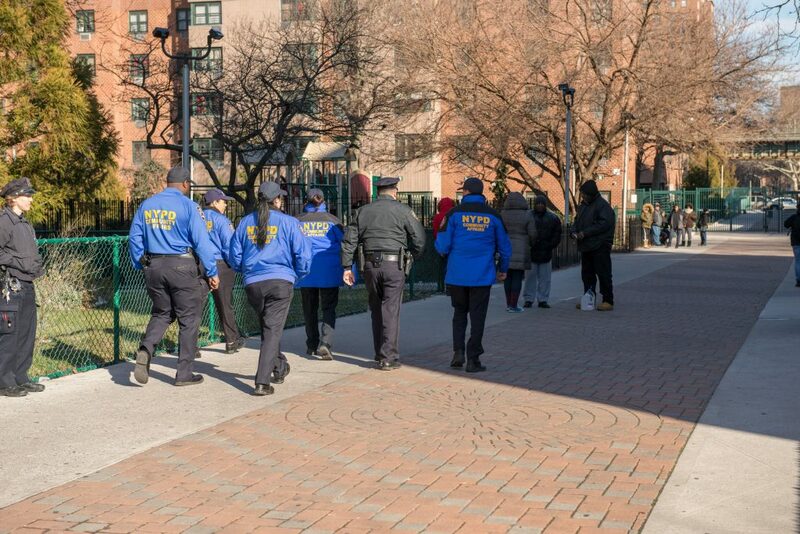 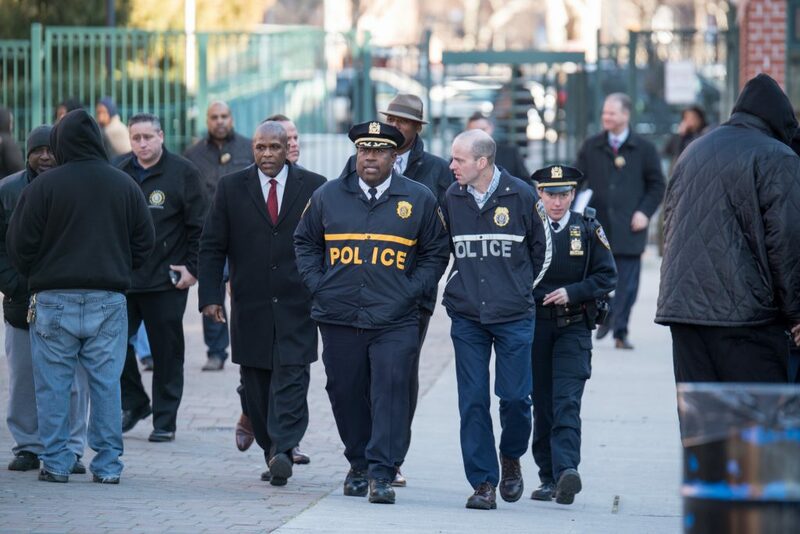 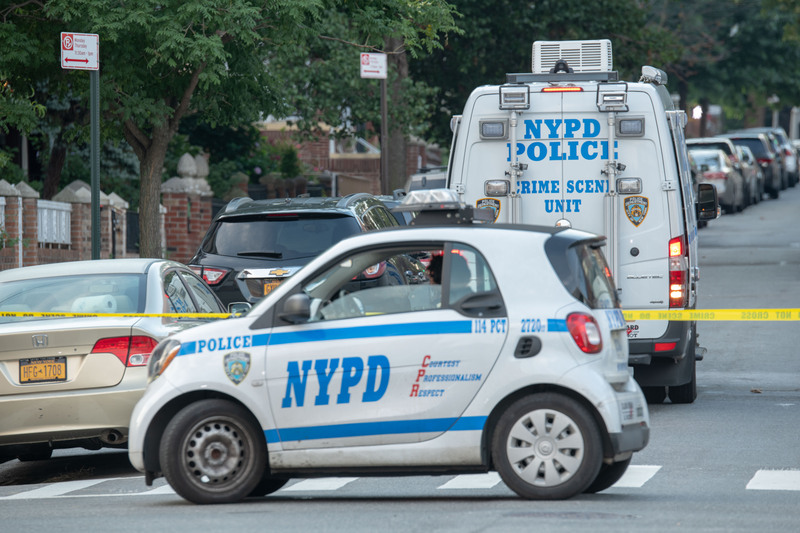 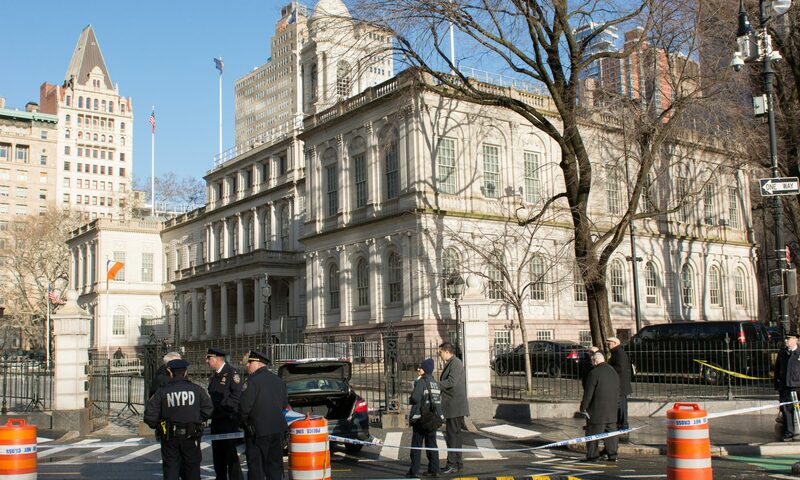 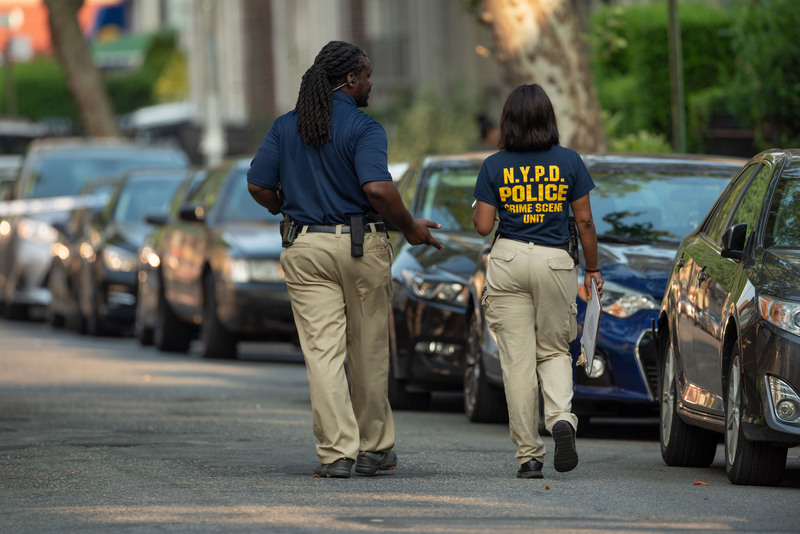 According to Police sources, this marked the first Homicide for the 75th Precinct, which encompasses East New York, for the year 2018, an improvement over 2017 when there were two Homicides recorded during the same period. 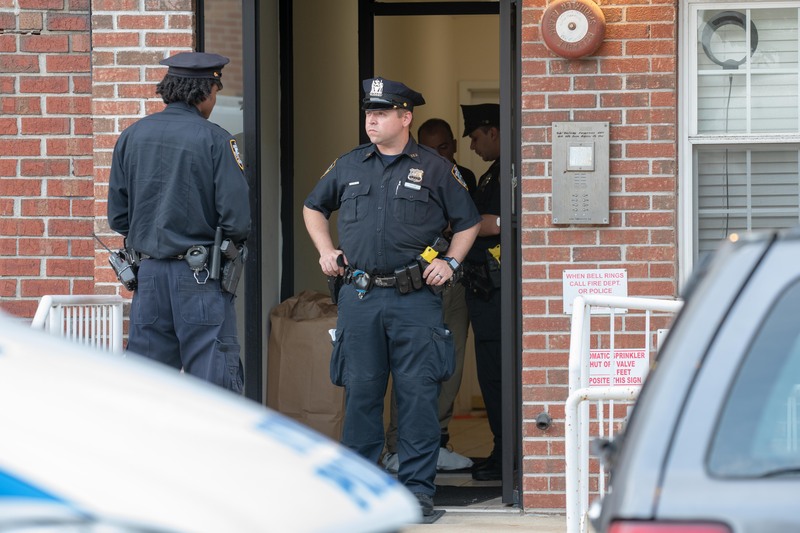 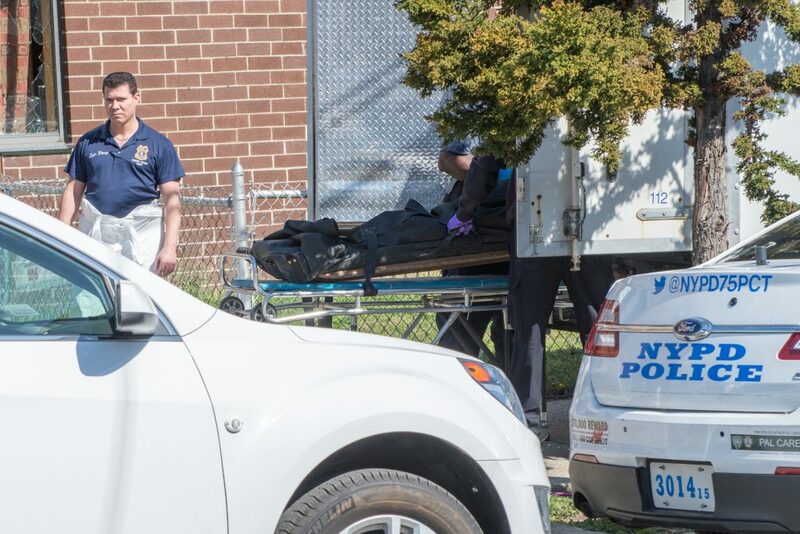 A Staten Island woman, identified by authorities as Lori Gjenashaj, was rushed to Richmond University Medical Center on the Island with a gunshot wound to the shoulder, after she was shot by Cops in a scene like out of the movies. 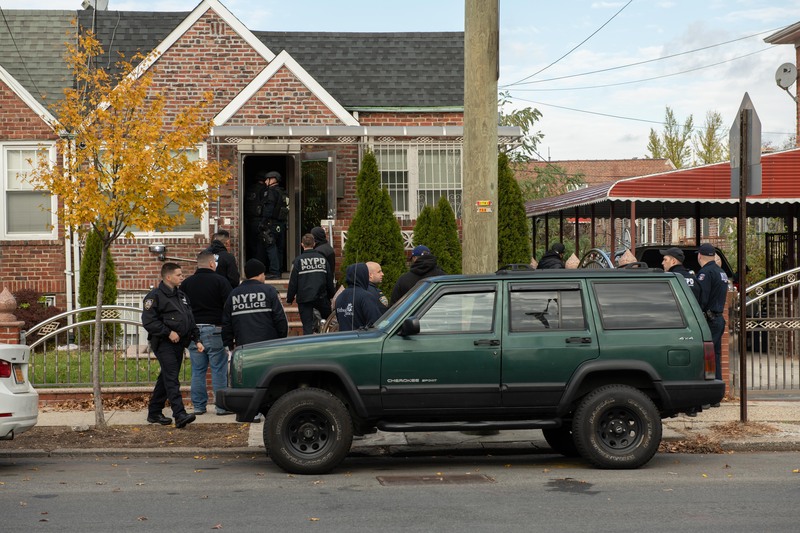 The madness started when Lori drove to 767 Nugent Avenue within the confines of the 122nd Precinct and fired off shots from a revolver. 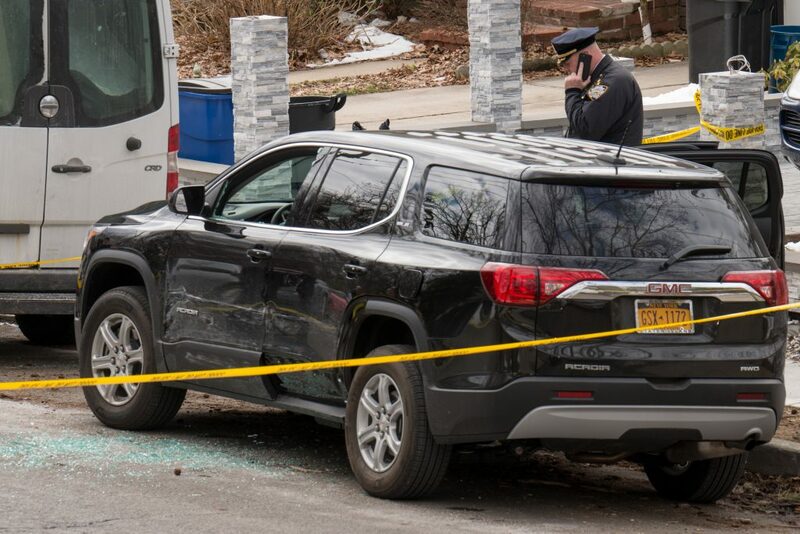 Cops were called but Lori took off in a black 2018 GMC Acadia with a man in the passenger seat just before they arrived. 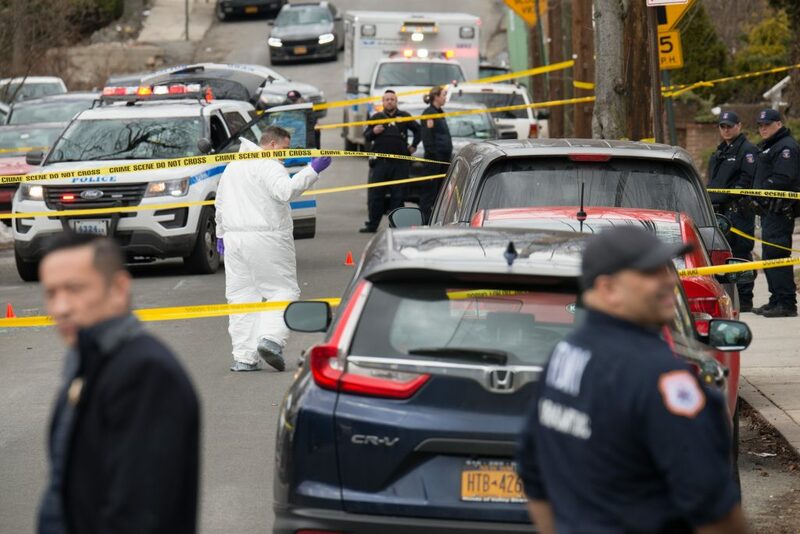 One of the responding Police units spotted the SUV heading north on Hylan Boulevard near Hunter Avenue a few blocks away but she refused to stop. 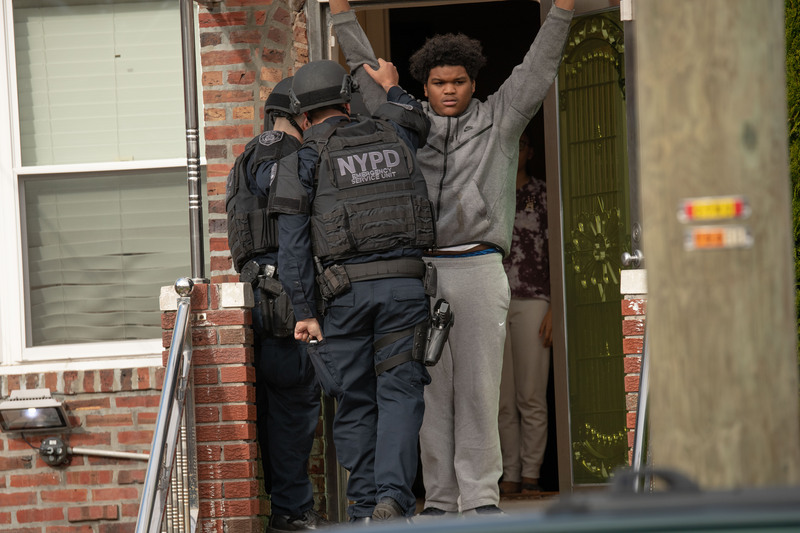 The chase was on. 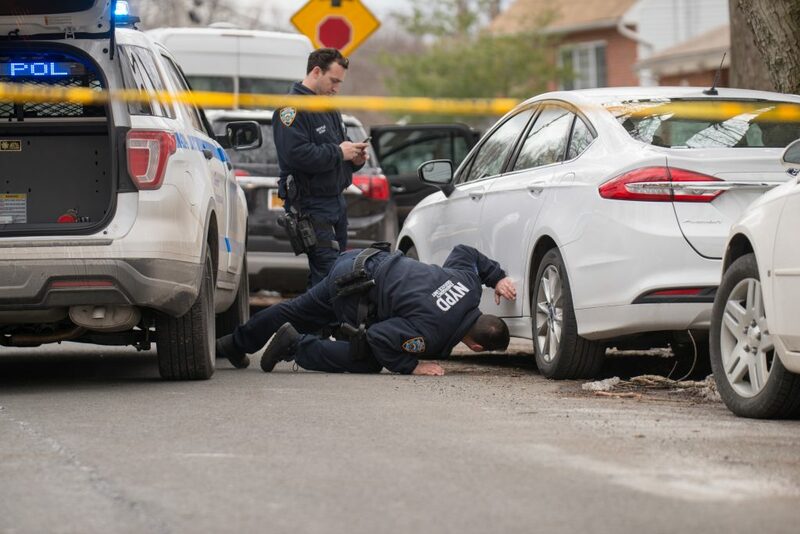 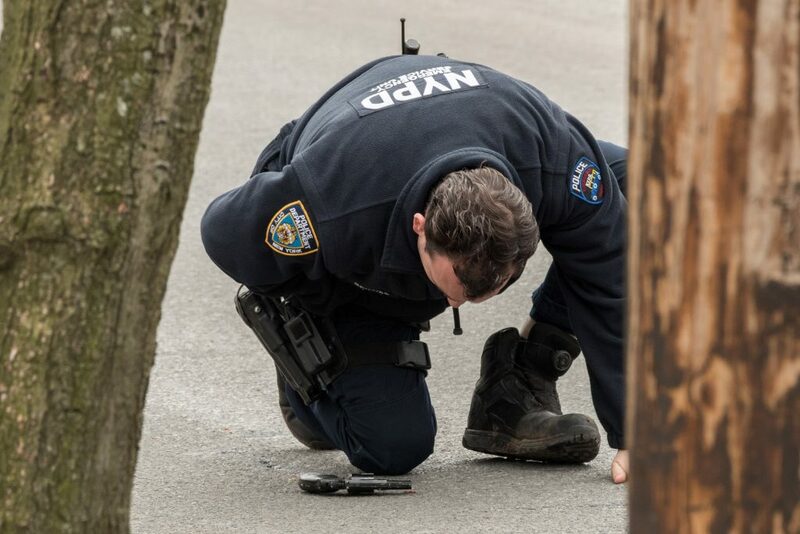 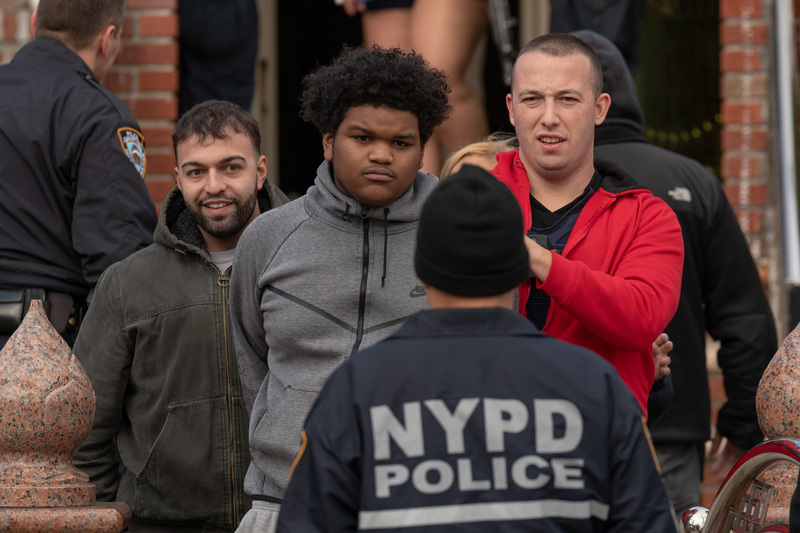 During a brief stop of the SUV on Hylan Boulevard near Clove Road, Officers managed to remove the male passenger and take him into custody, but Lori took off again. 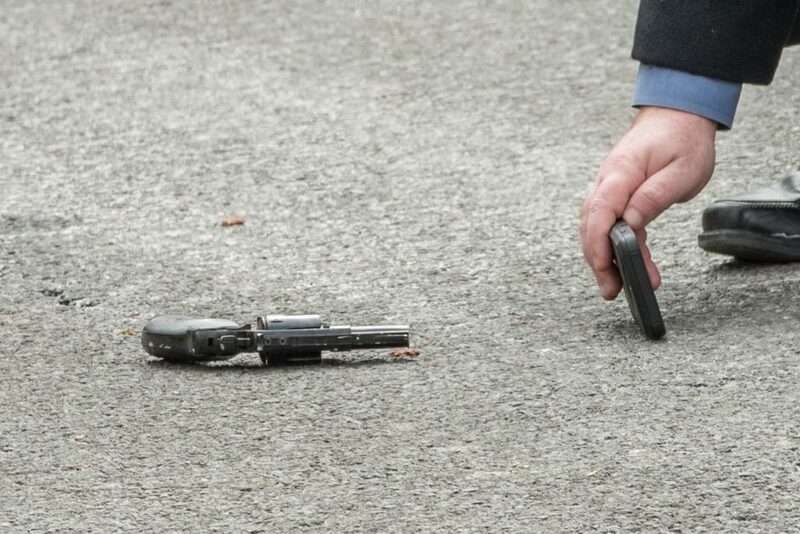 The gun was not recovered at that time. 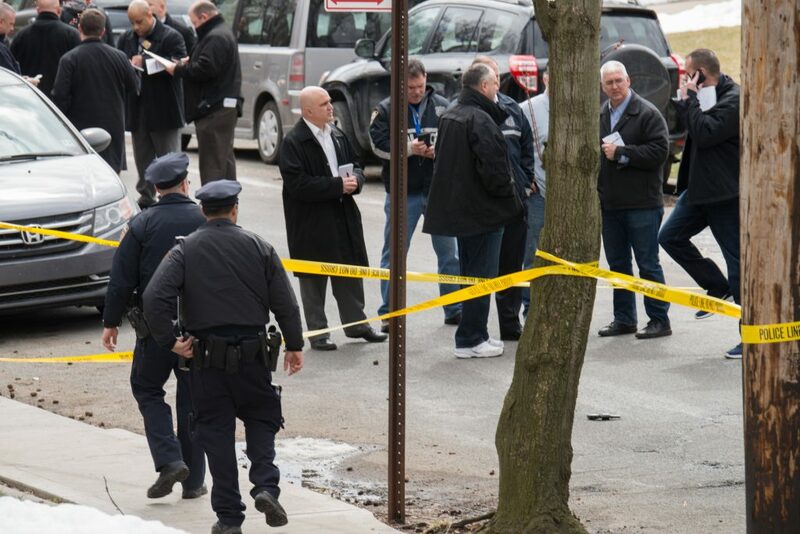 Officers in the surrounding Precincts were put on alert for the SUV. 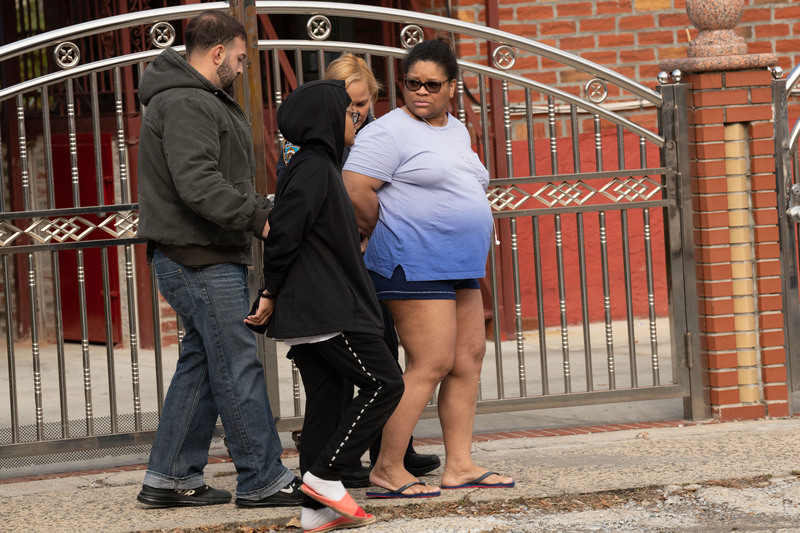 Officers from the 120th Precinct then spotted Lori inside the SUV near 166 Highland Avenue and moved in to make the arrest. 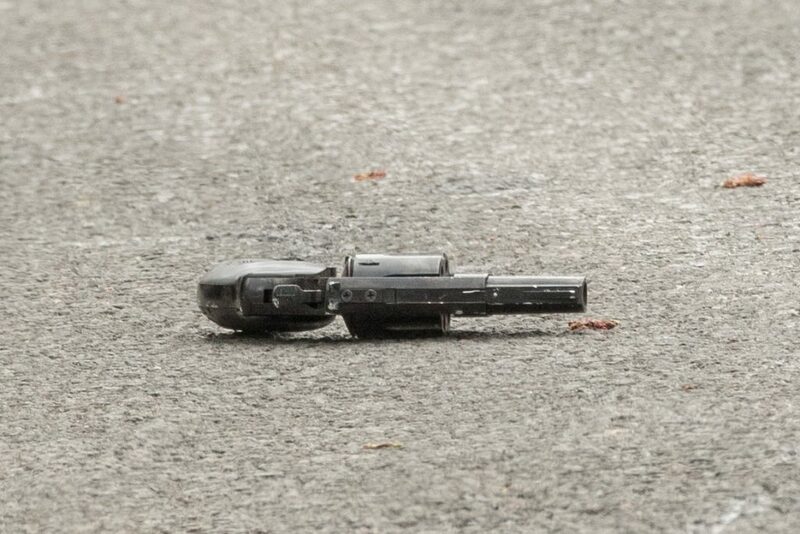 According to authorities, Lori then brandished the gun at the Officers, causing them to open fire. 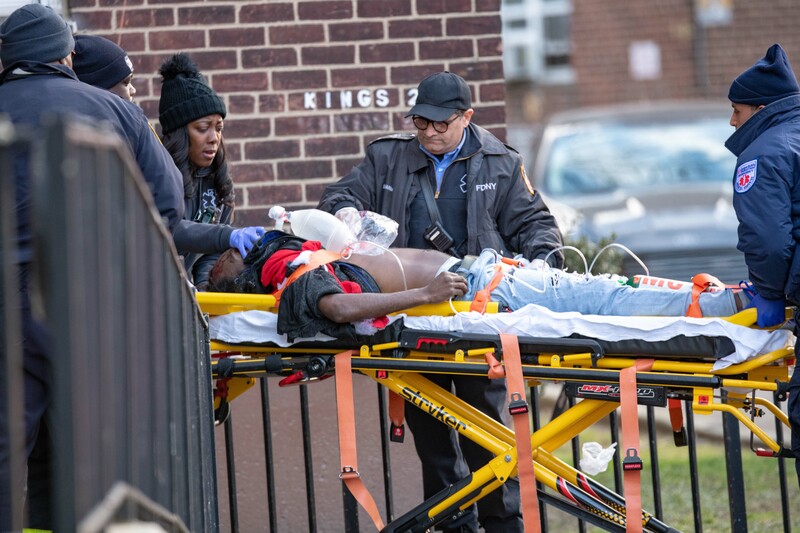 Authorities stated that two Officers fired a total of five shots, striking her once in the shoulder. 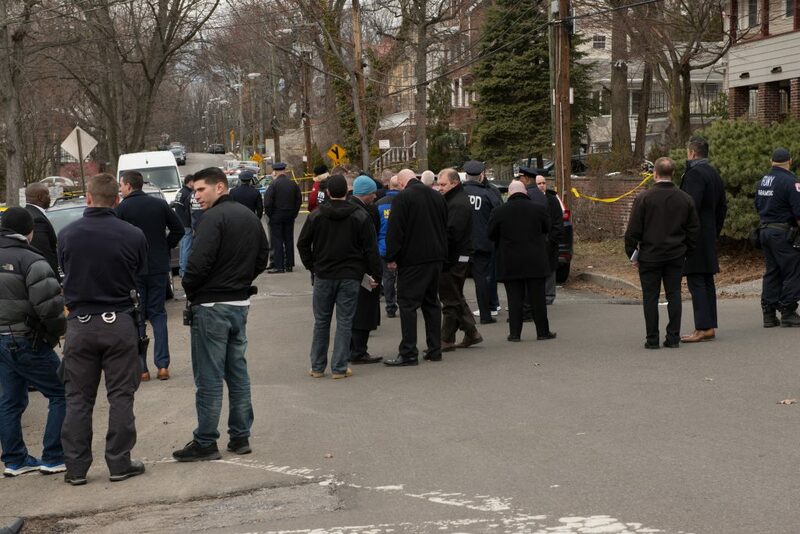 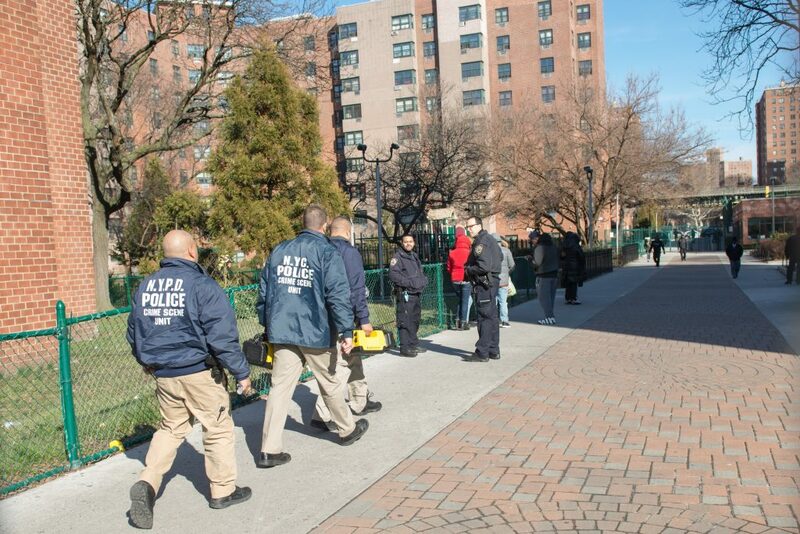 Both Officers were taken to Staten Island University Hospital North as a precaution. 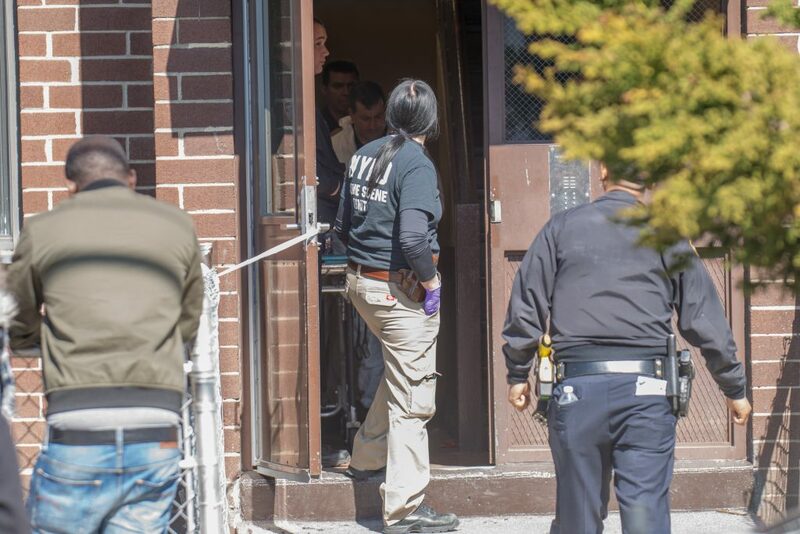 The Investigation into this crazy incident continues. 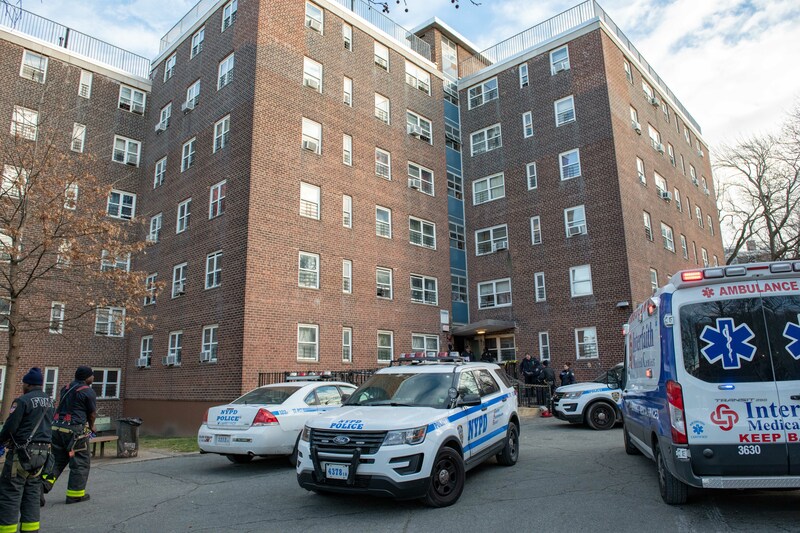 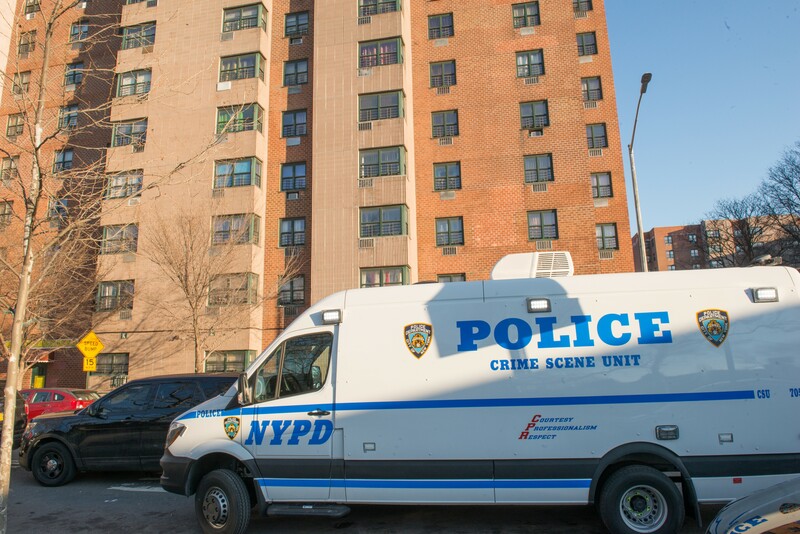 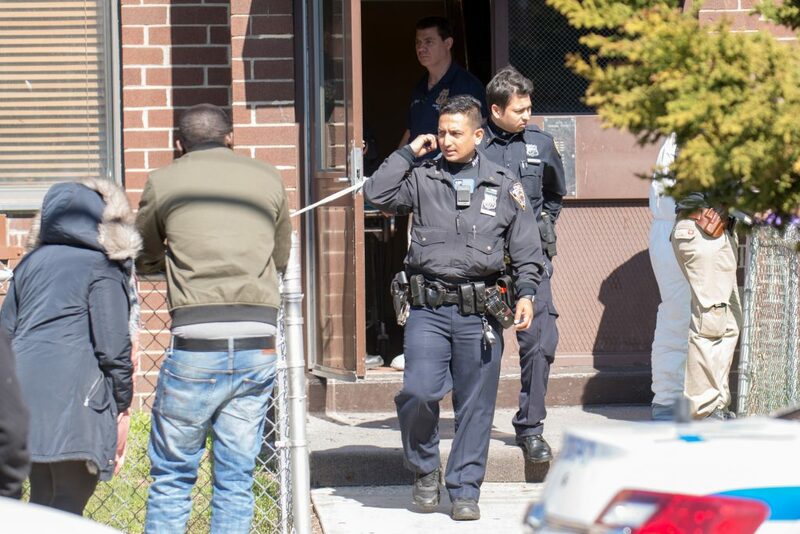 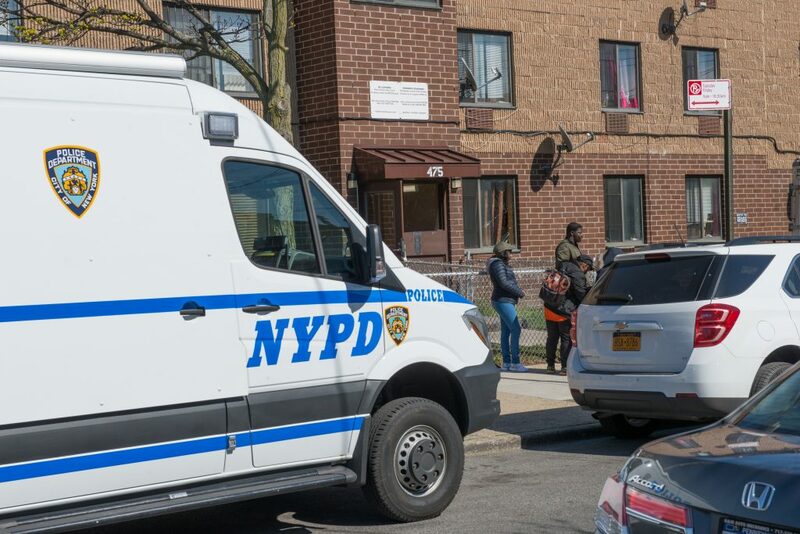 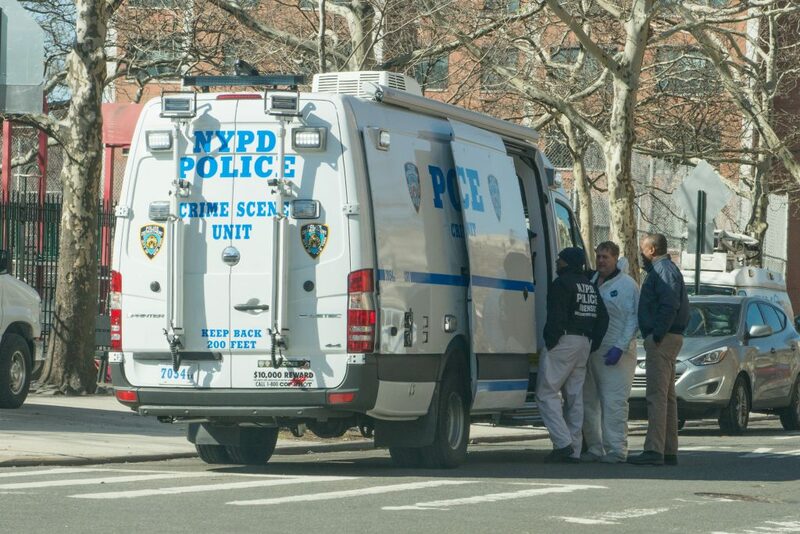 1yr old Laylay Briggs, her father 27yr old Terrance Briggs, 16yr old Loyd Drain III, and 57yr old Loyd Drain Jr., were found dead with gunshot wounds to the head inside apartment 4M at the Riverdale Towers at 345 Thatford Avenue in Brooklyn on Wednesday. 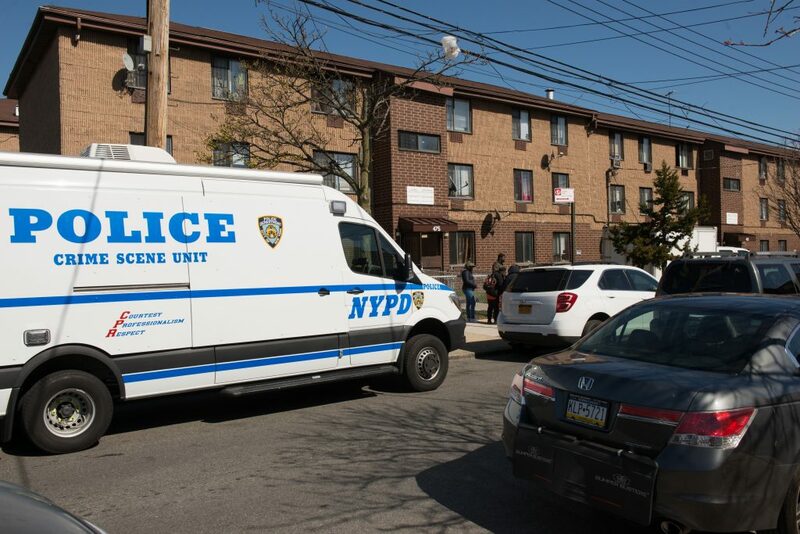 According to Deputy Chief Michael Kemper, Commander of the Brooklyn North Detective Division, 27yr old Terrance and his 1yr old daughter Laylay were found in one bedroom, 16yr old Loyd Drain III was found in another bedroom and 57yr old Loyd Drain Jr was found in the bathroom. 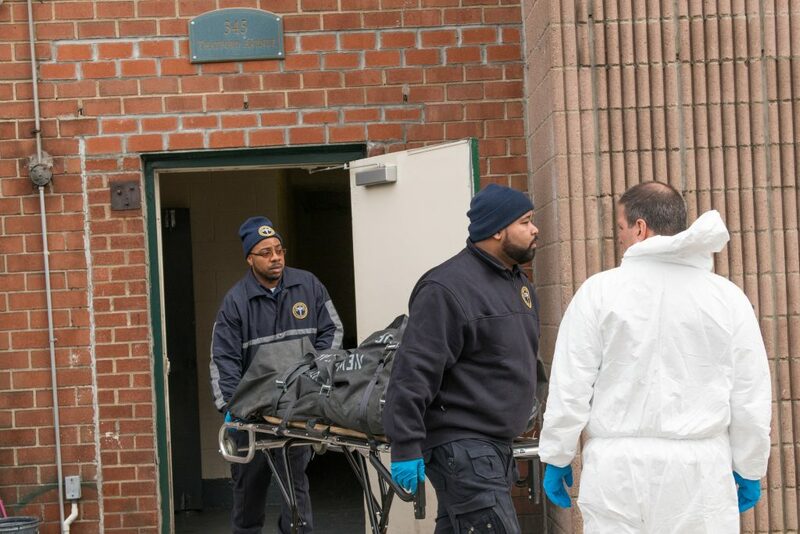 “It appears all of the deceased are related, either biologically or through marriage” said Kemper. 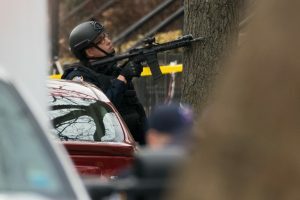 “At this time, we do not have a motive for this incident, but we are working very hard to establish one” Kemper continued. 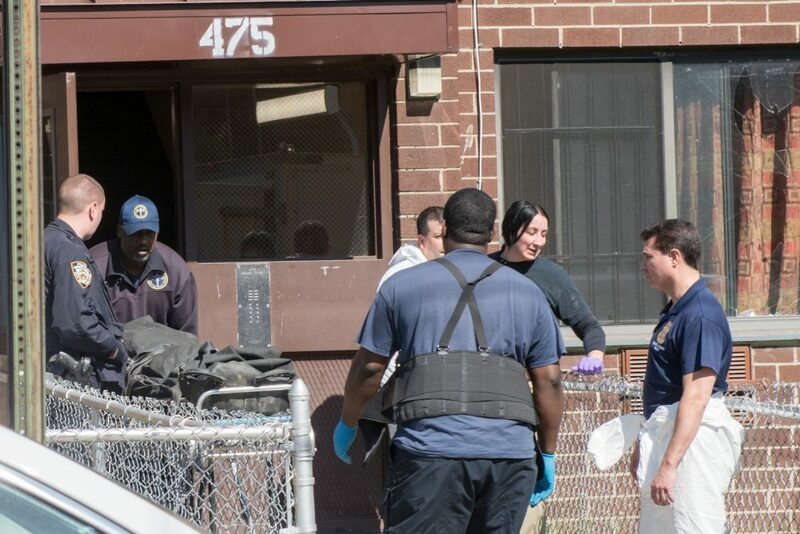 Kemper also stated that a firearm was recovered inside the apartment along with bullets and shell casings. 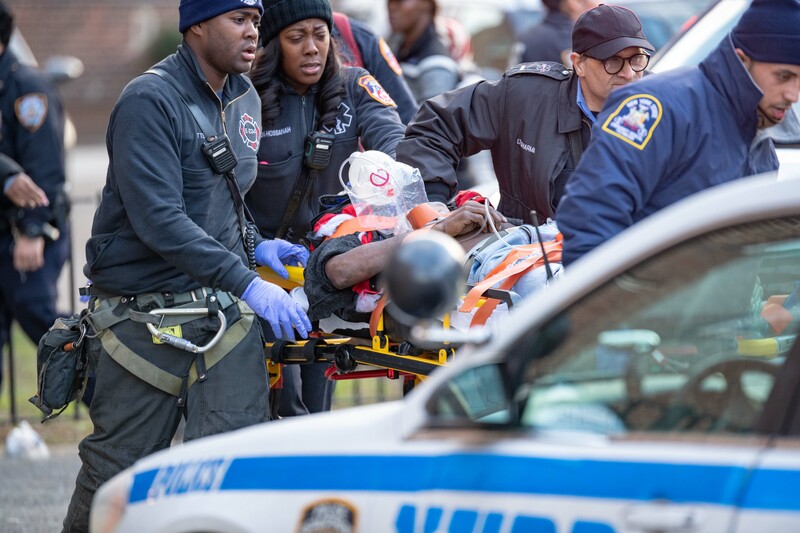 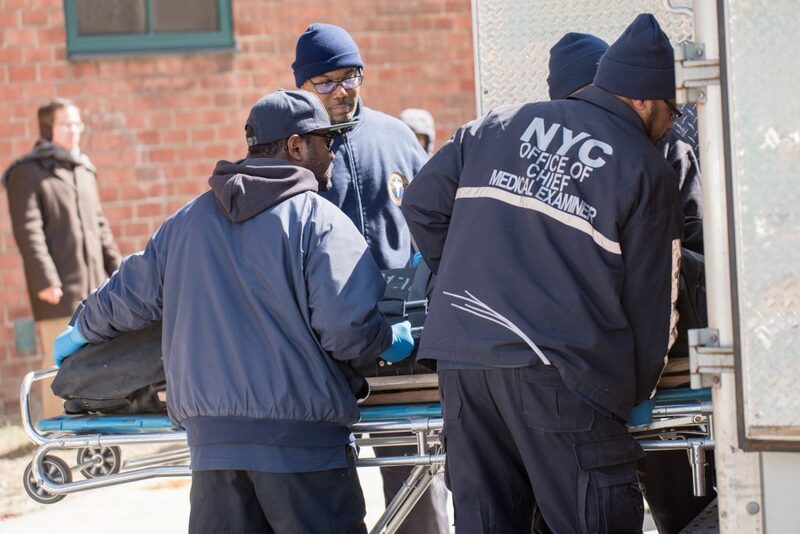 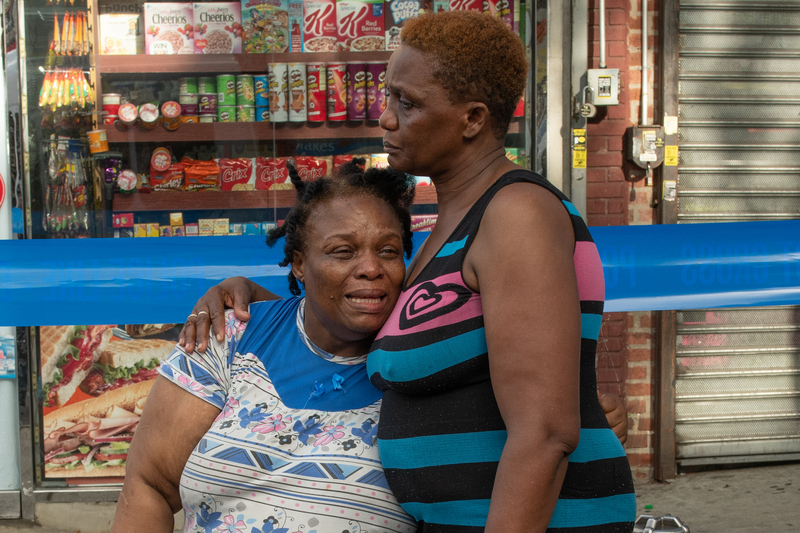 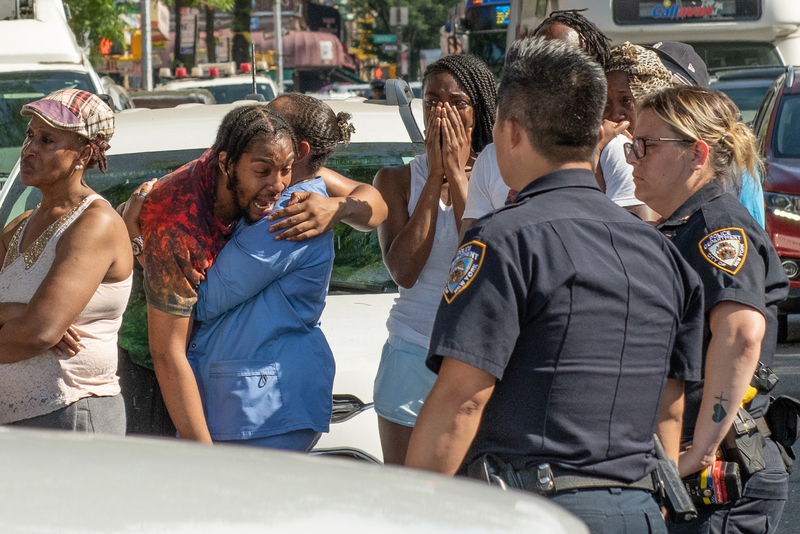 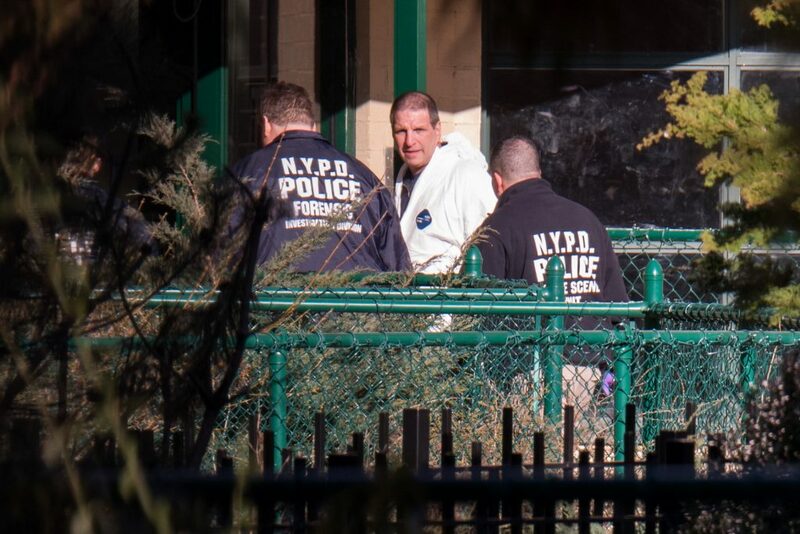 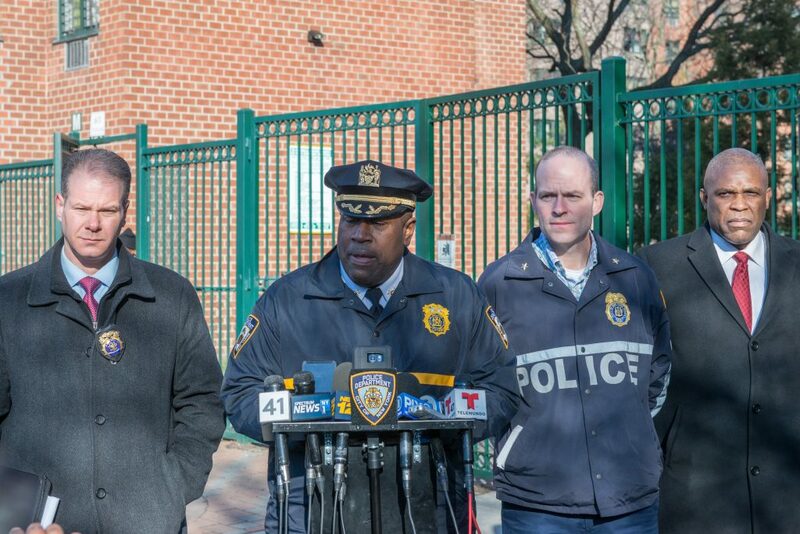 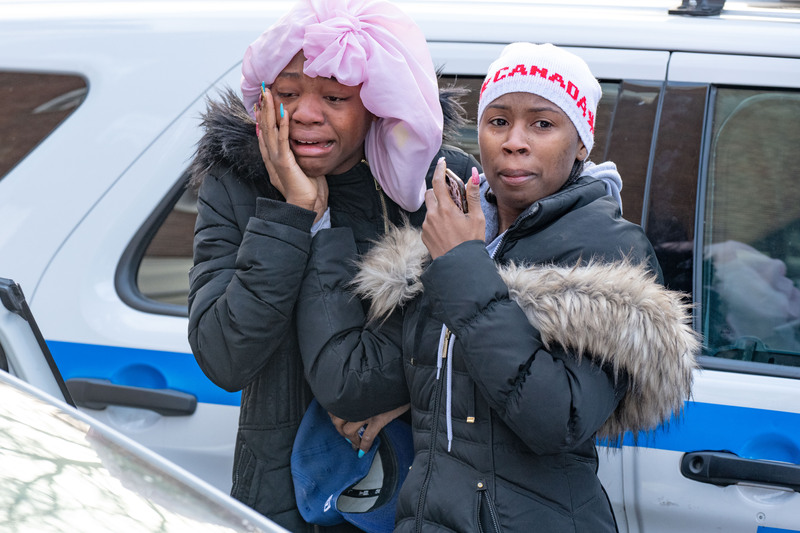 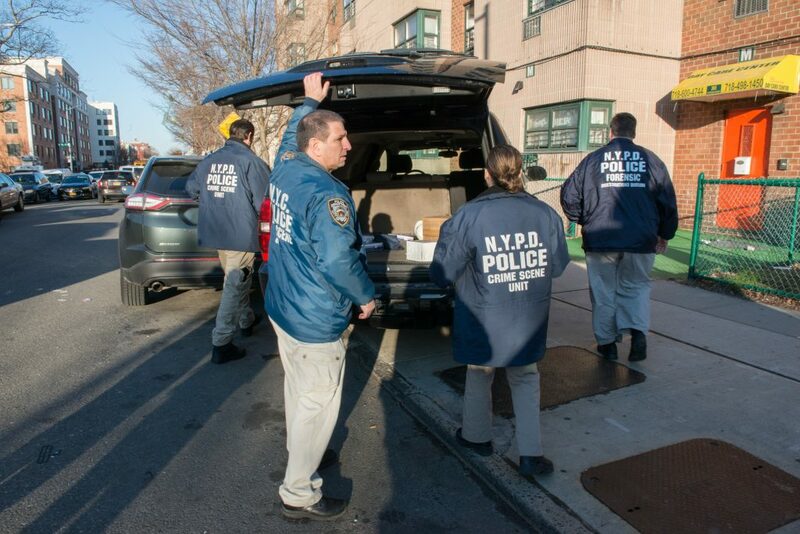 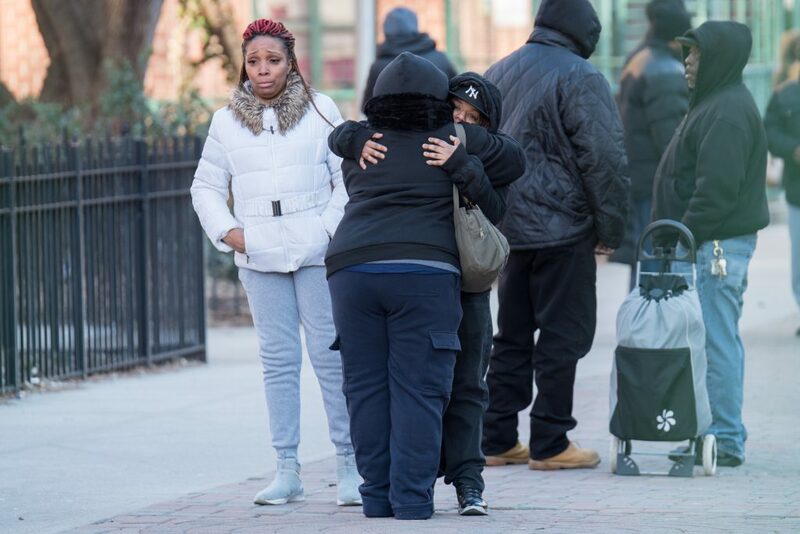 “I just want to give my sympathy and my heart goes out to this family and to the residents of Riverdale Tower, to the Brownsville community” said NYPD Assistant Chief Jeffrey Maddrey, the Commanding Officer of Patrol Borough Brooklyn North, “The nature of this business we deal with death and tragic scenes, but when it involves an infant it is extremely tough” he continued. 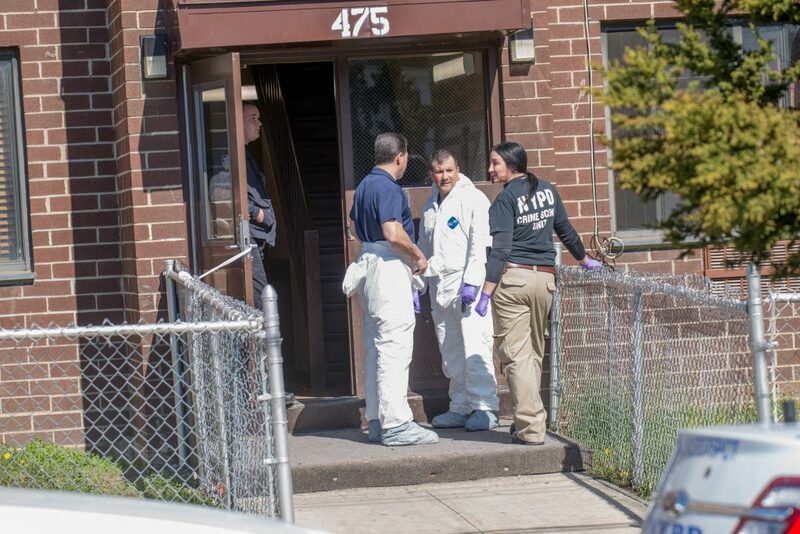 The Investigation into this terrible tragedy remains ongoing. 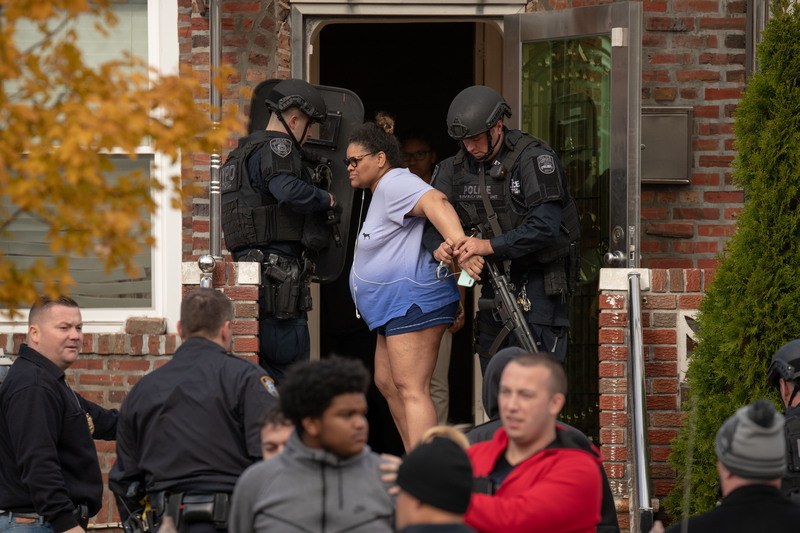 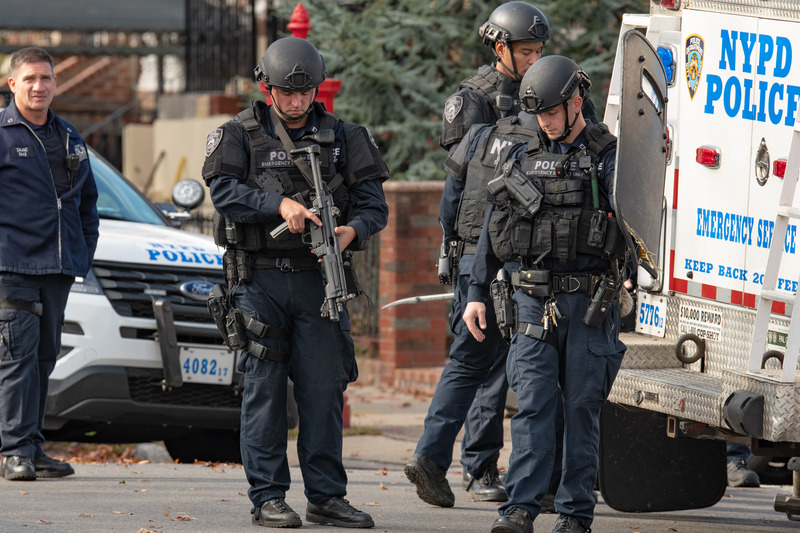 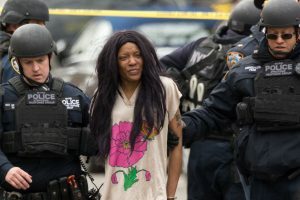 A man who reportedly fired a gun at his girlfriend during an argument was taken into custody without incident after an hours long standoff with Cops inside of 395 Bainbridge Street in Brooklyn. 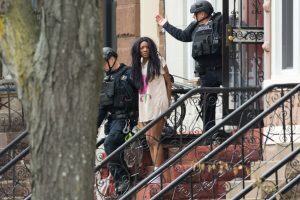 A woman was also removed in handcuffs, but it is not clear what role she might have played.